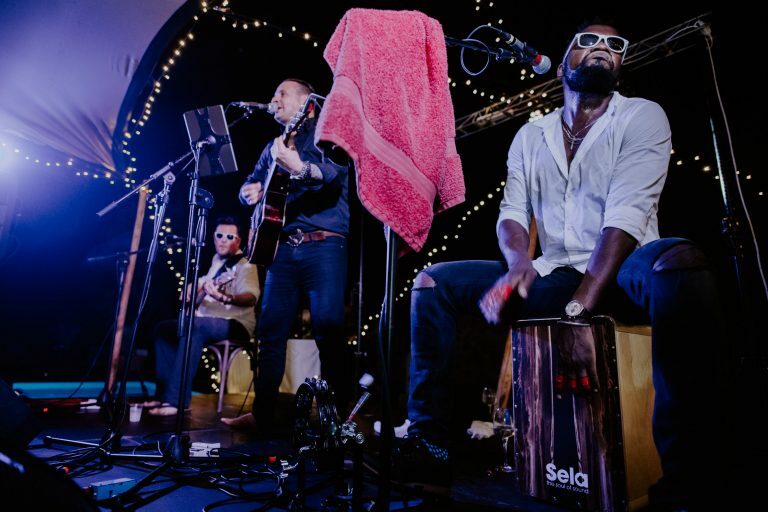 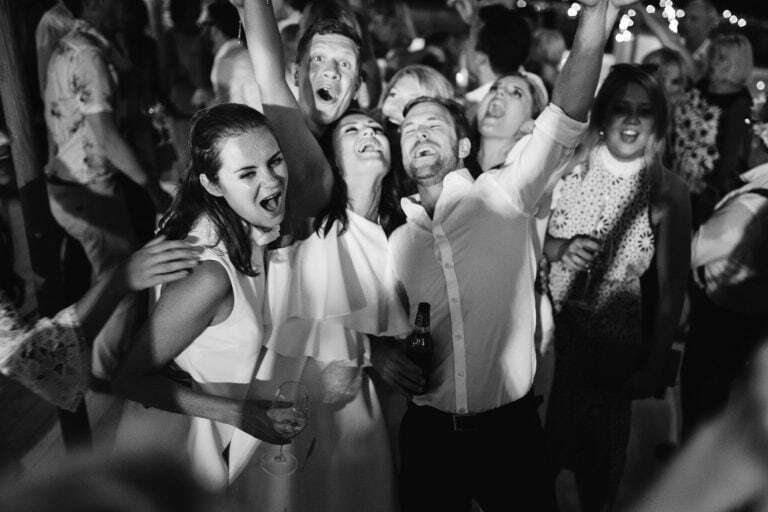 “We live (and met one another) in London. 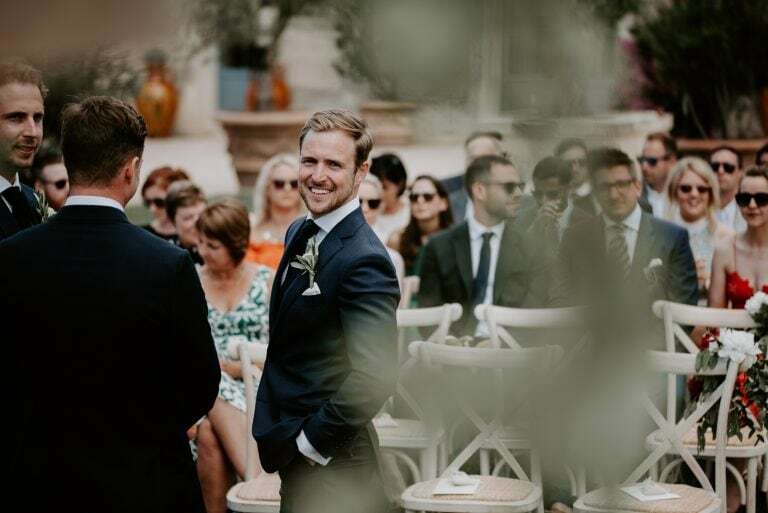 Simon works in motor sport and I am a lawyer, although our main interest outside of work is travelling. 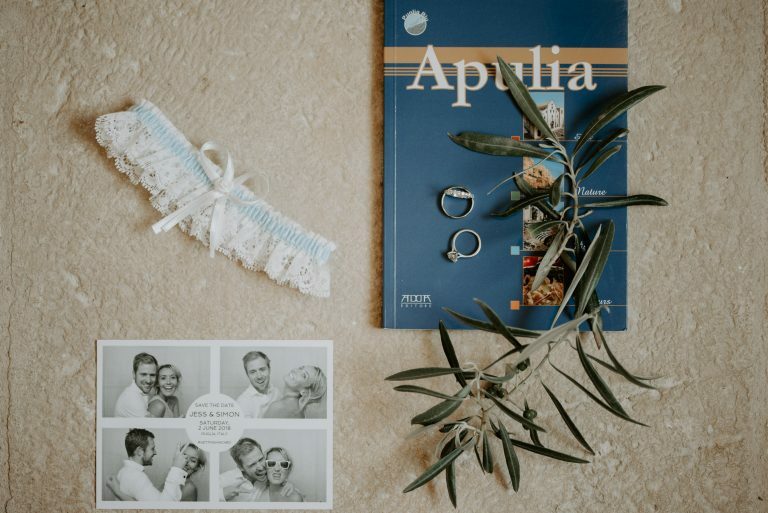 We love seeing new places and exploring different parts of the world – we’ve visited lots of Europe, America and Africa together and are excited to explore more places (we’re camping in Canada for our honeymoon in September!). 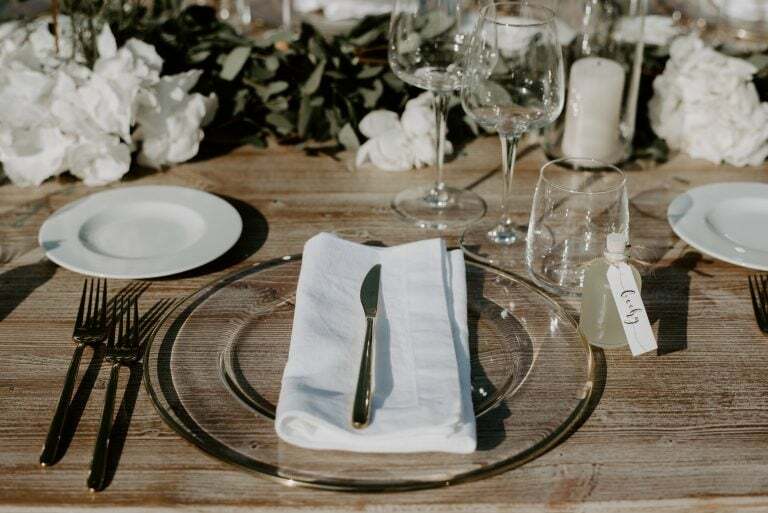 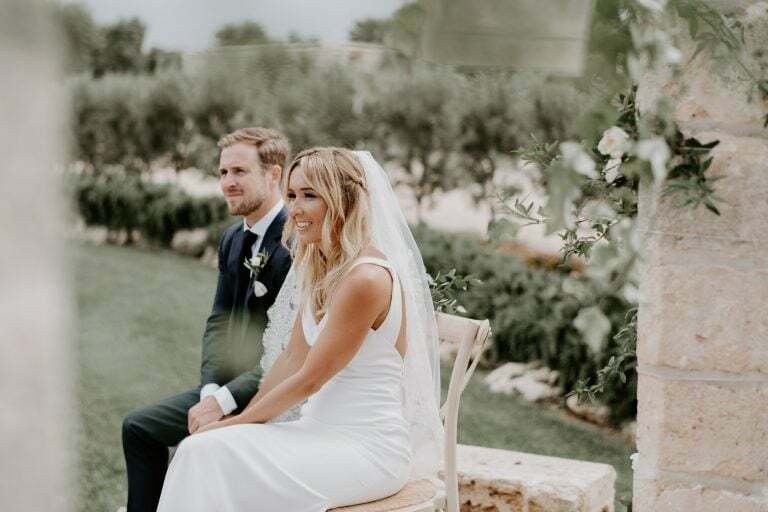 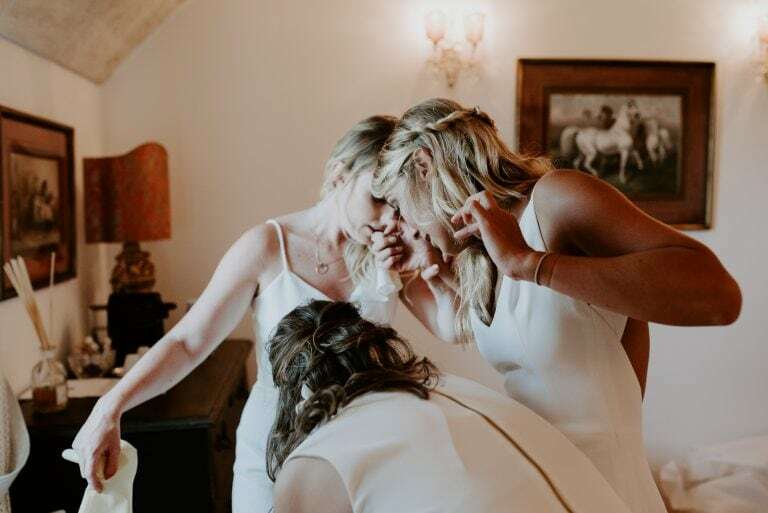 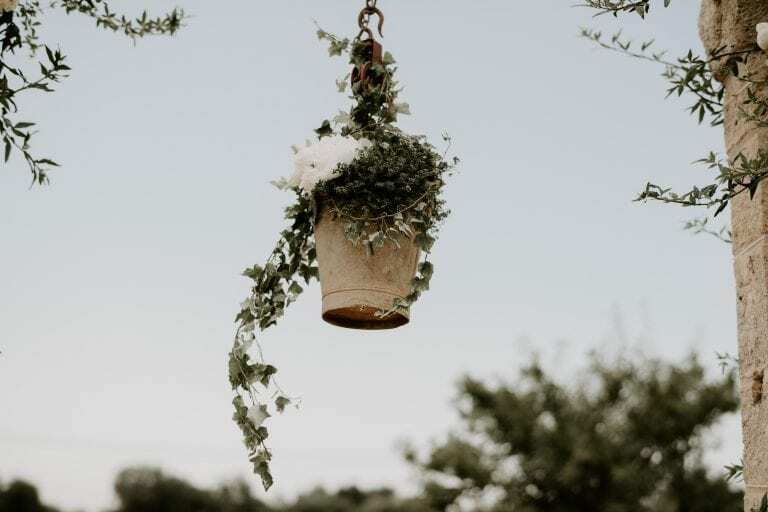 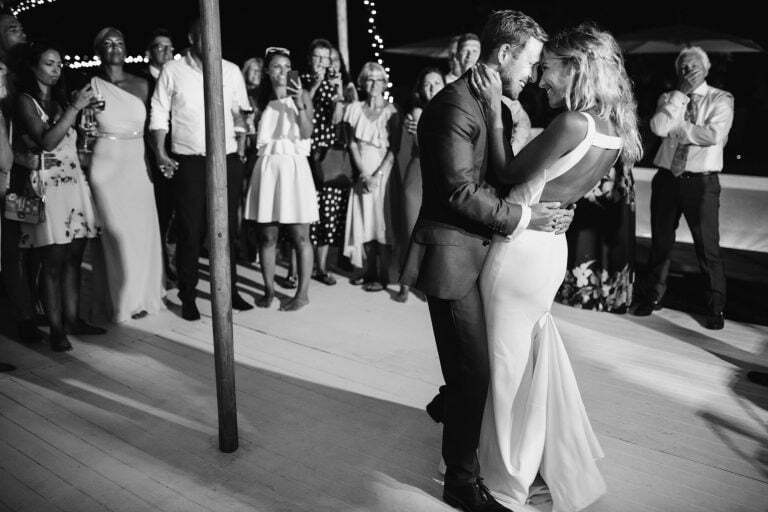 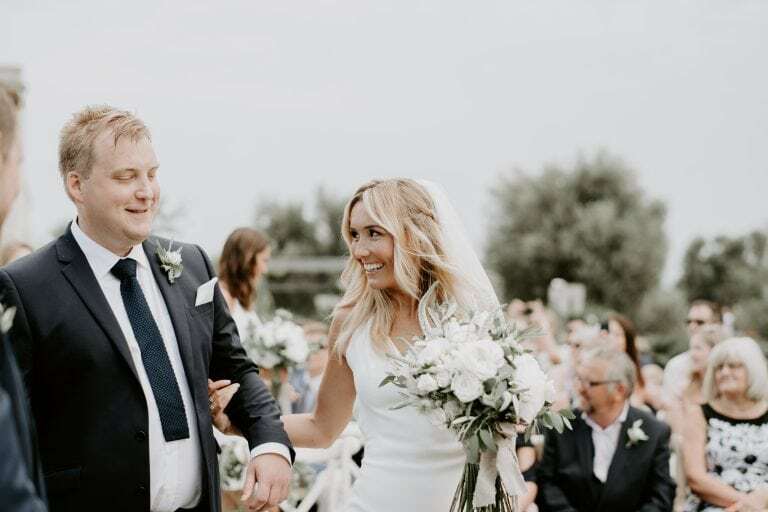 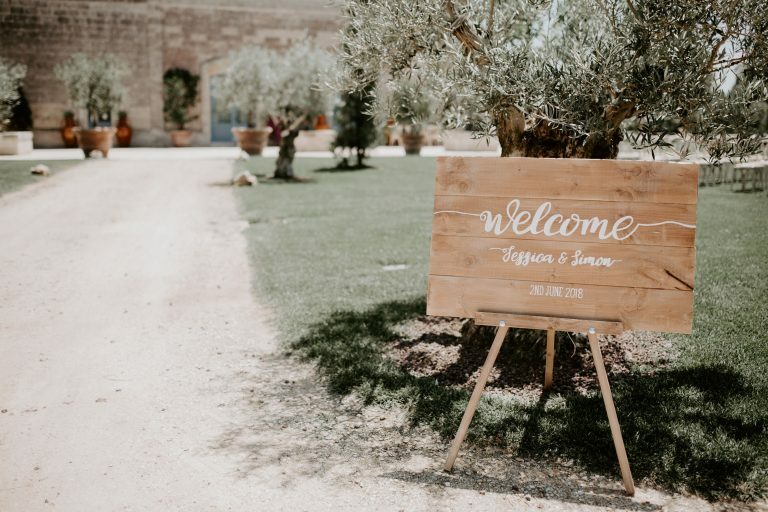 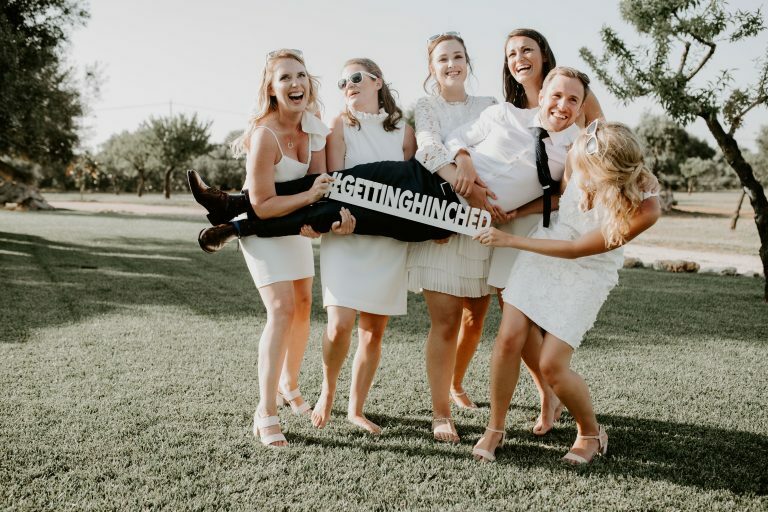 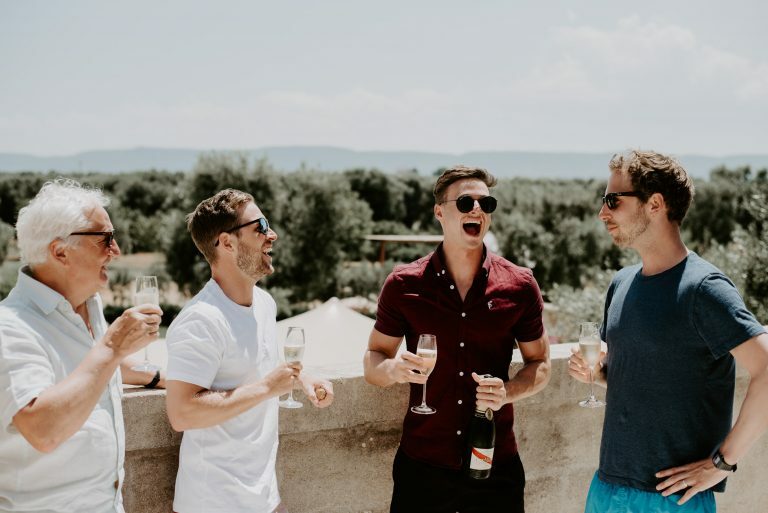 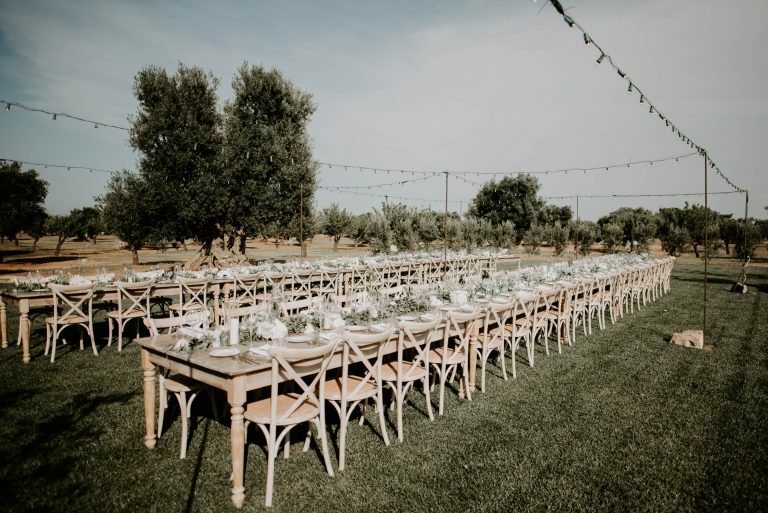 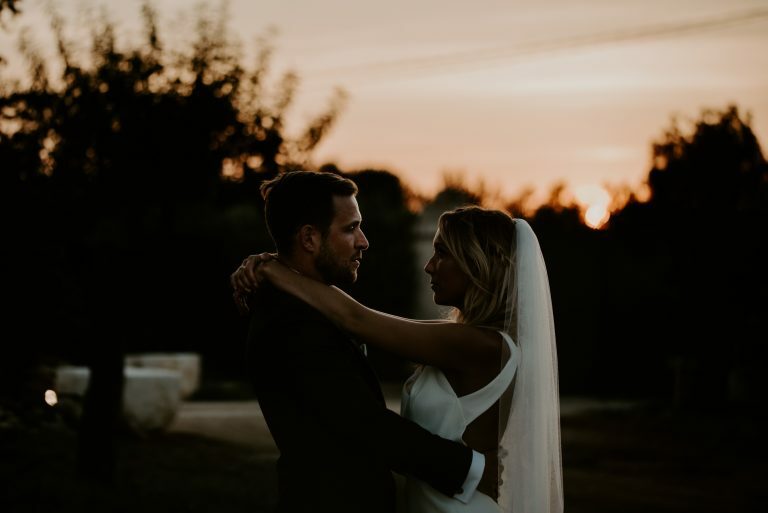 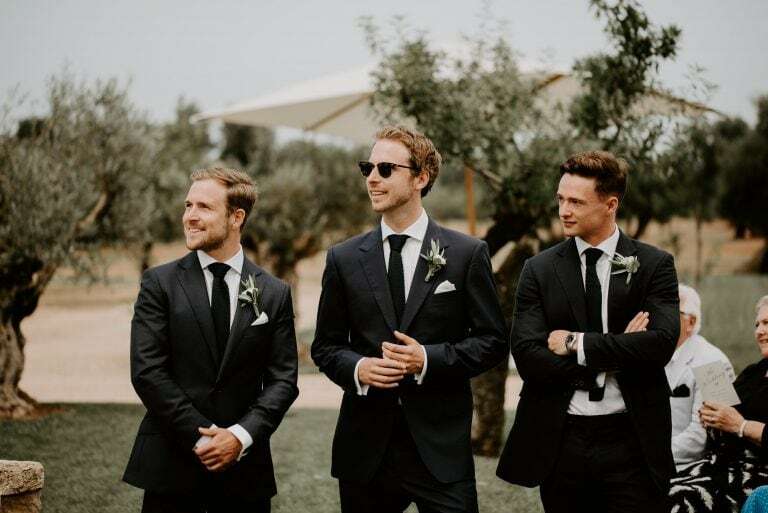 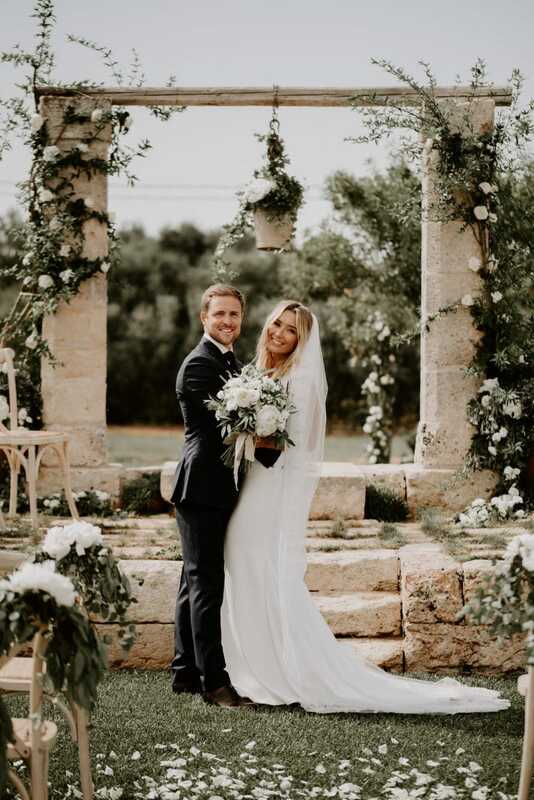 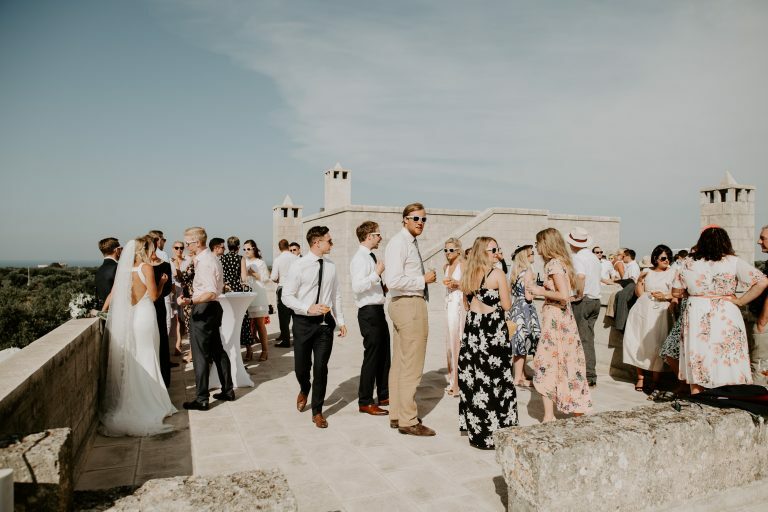 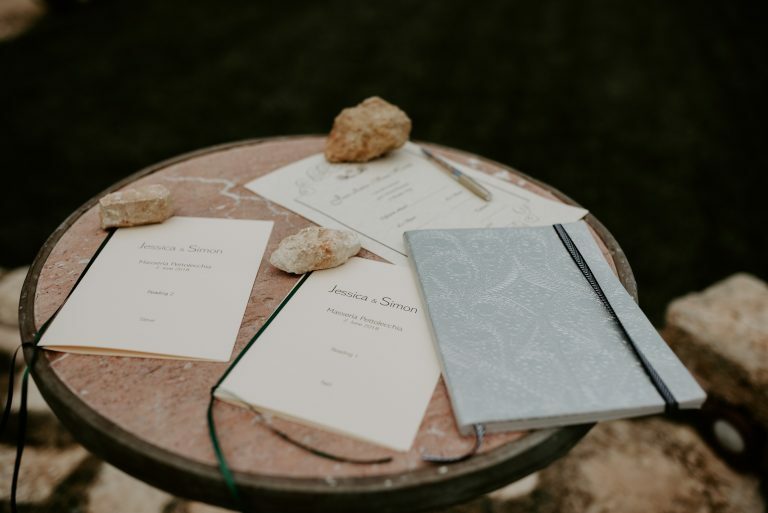 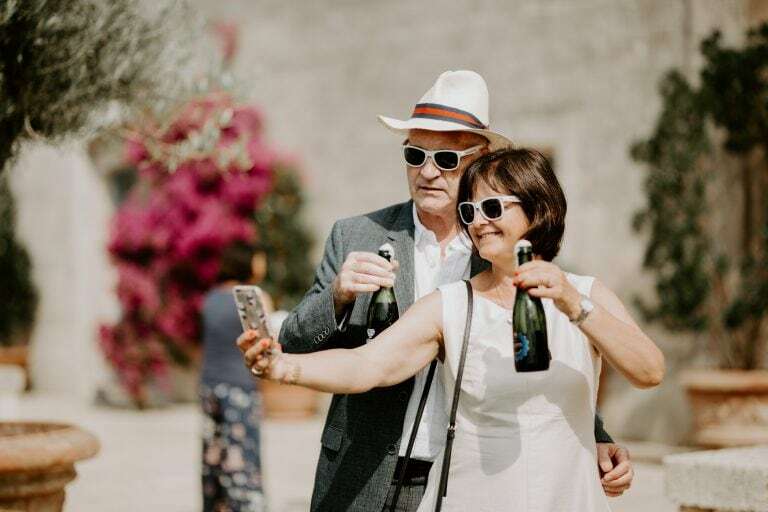 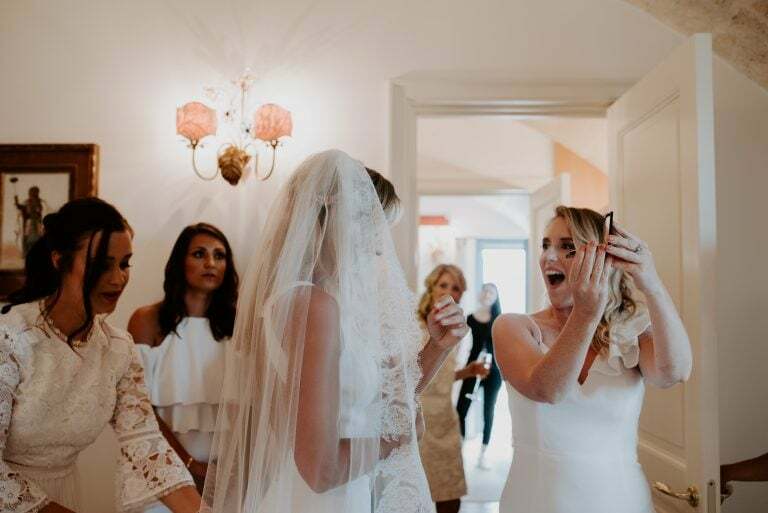 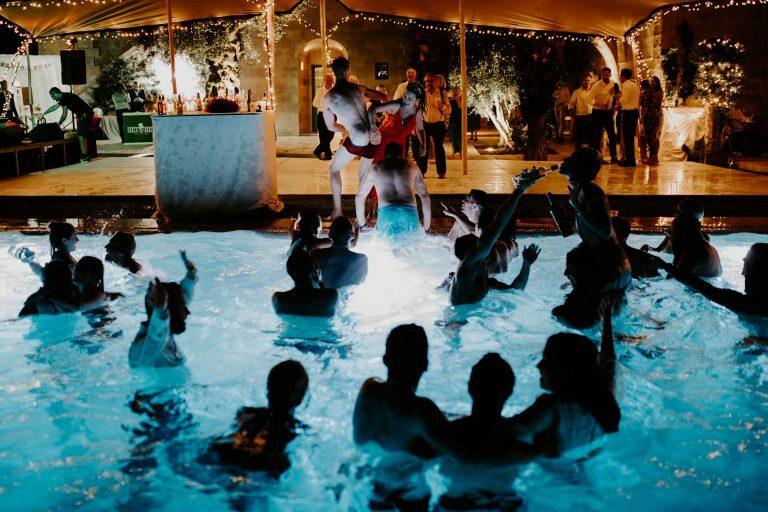 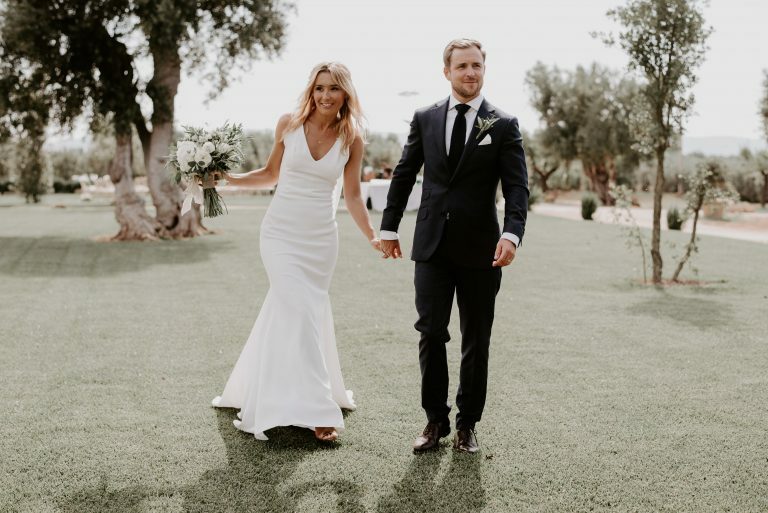 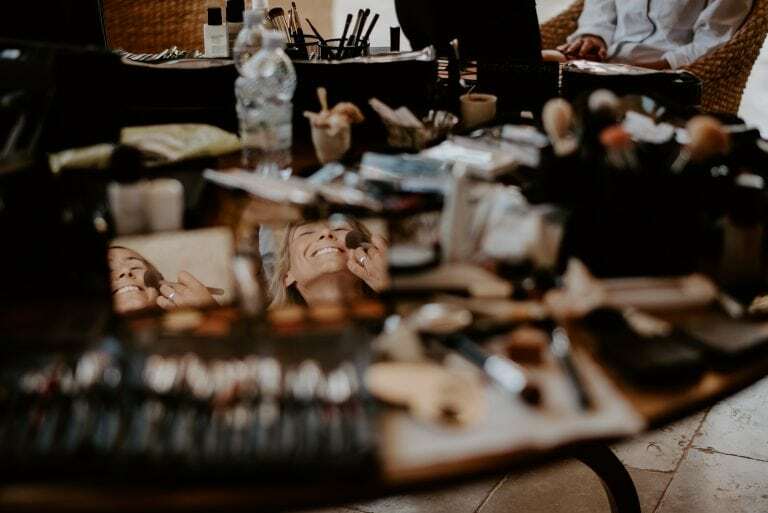 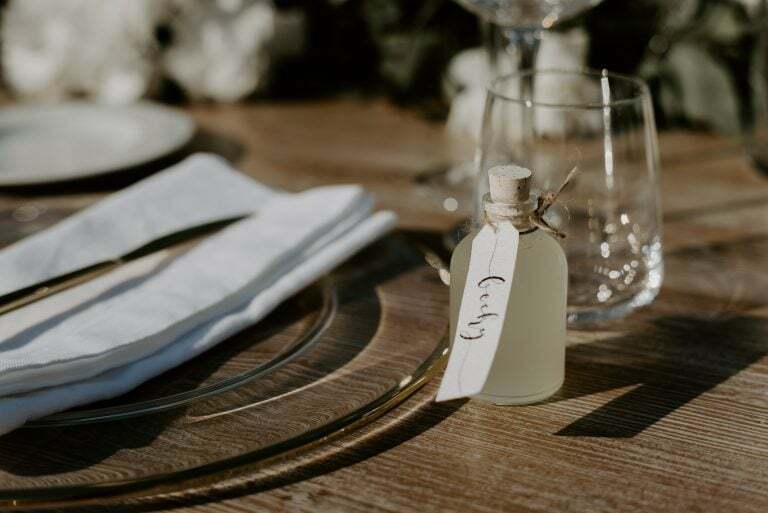 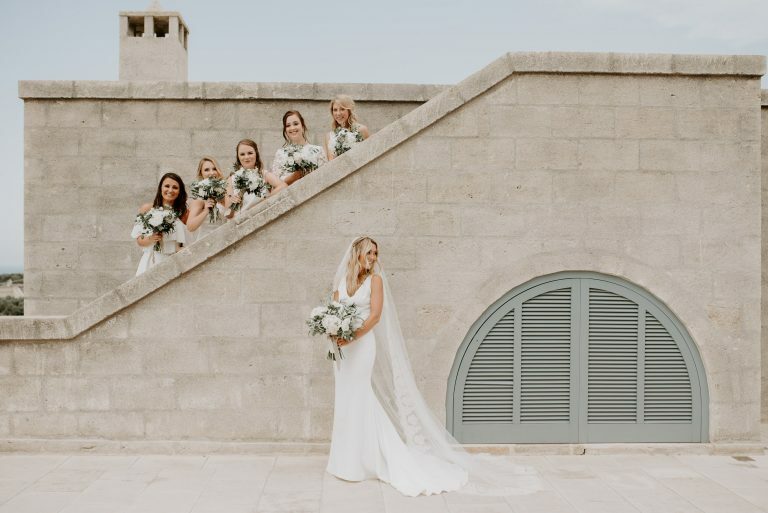 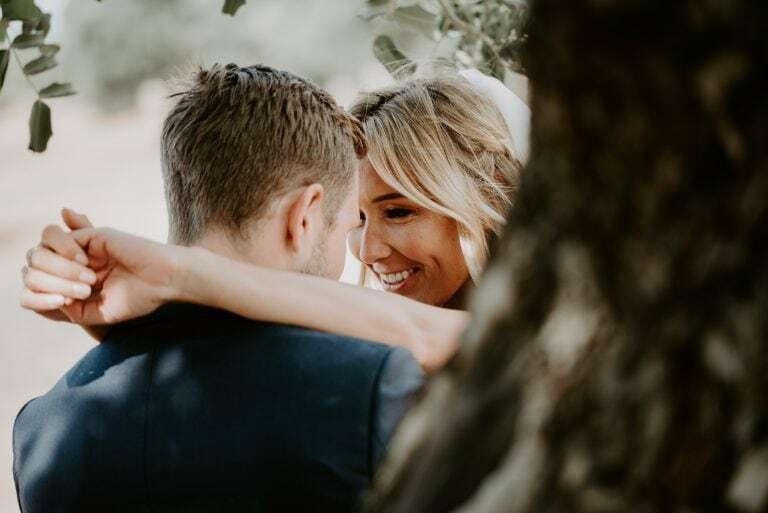 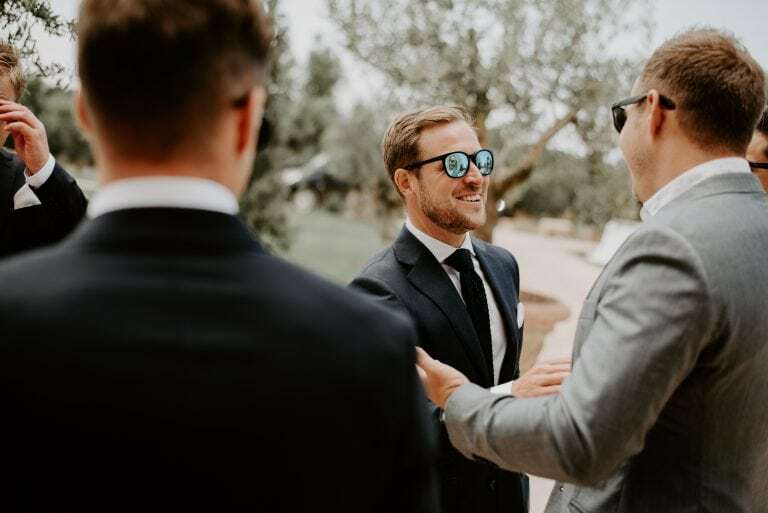 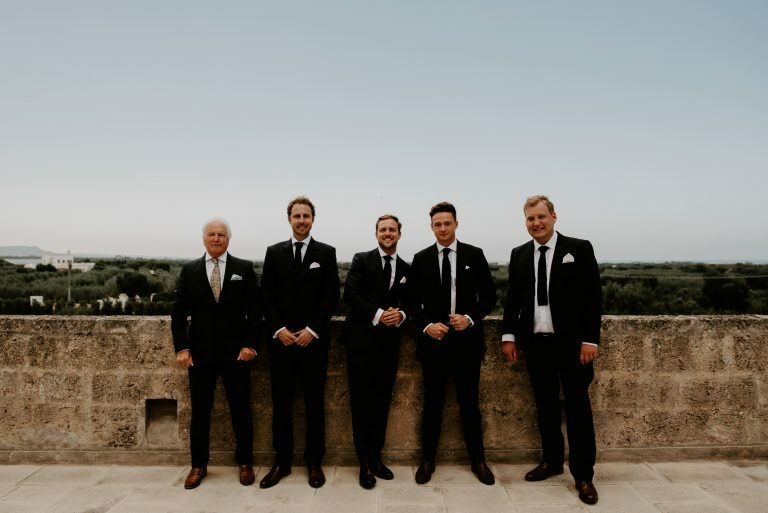 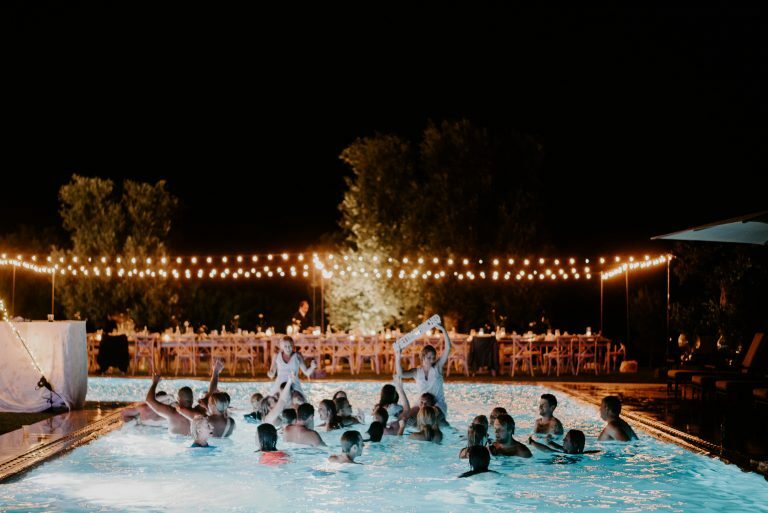 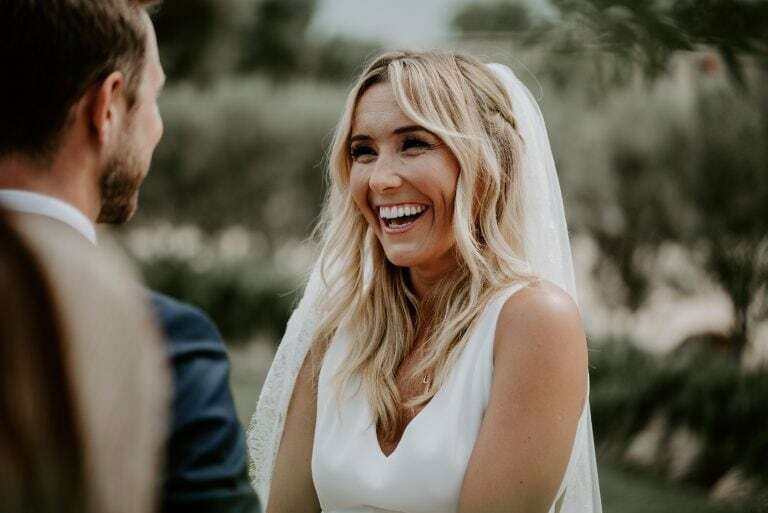 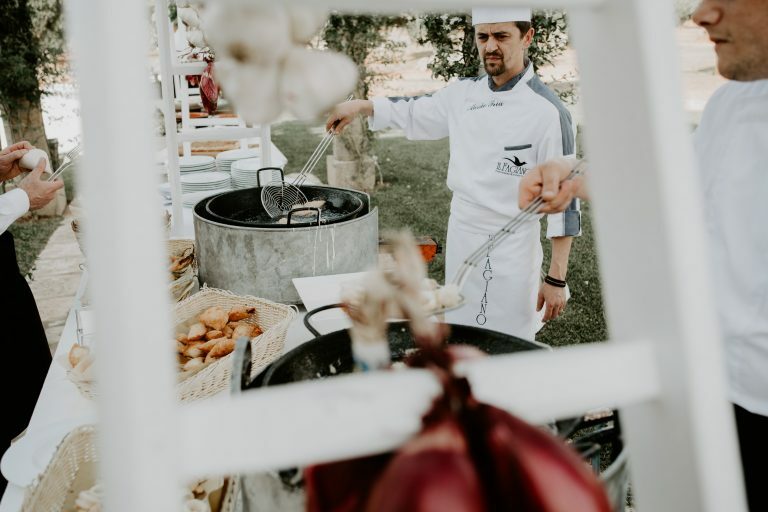 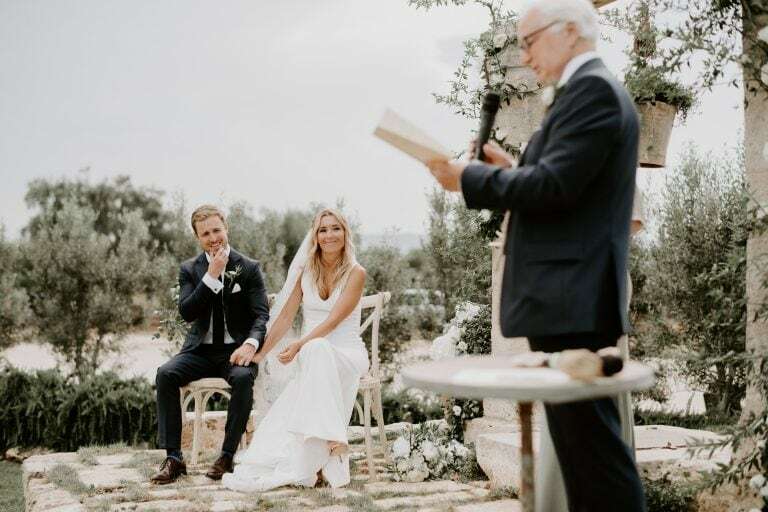 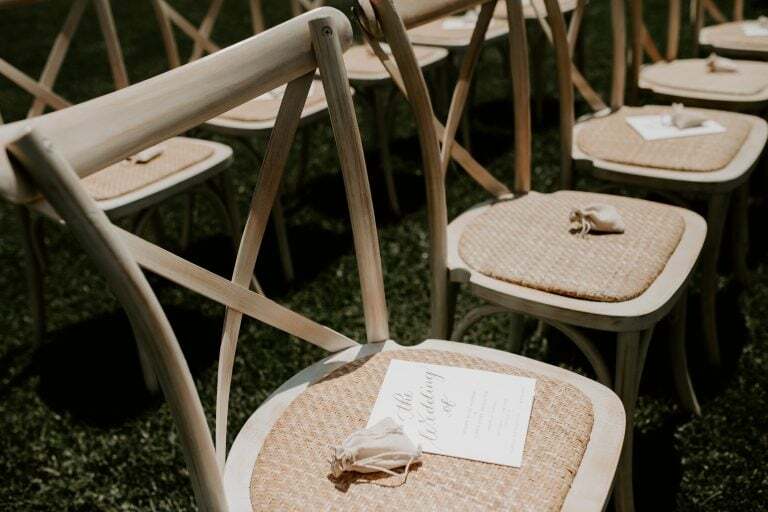 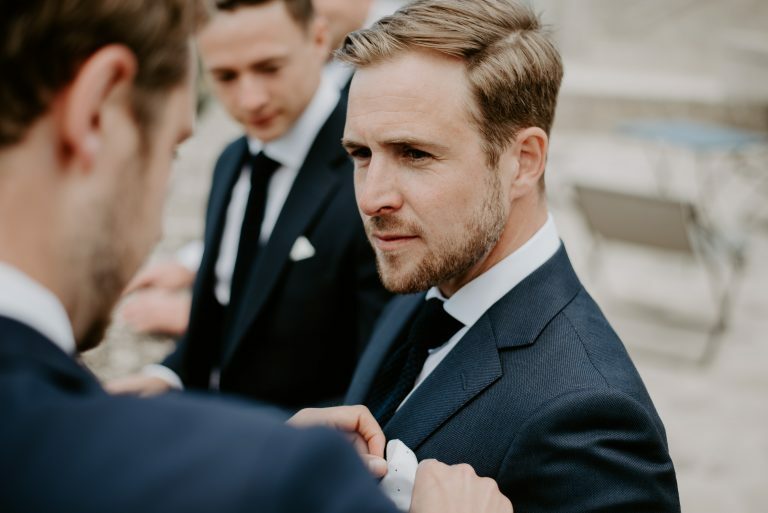 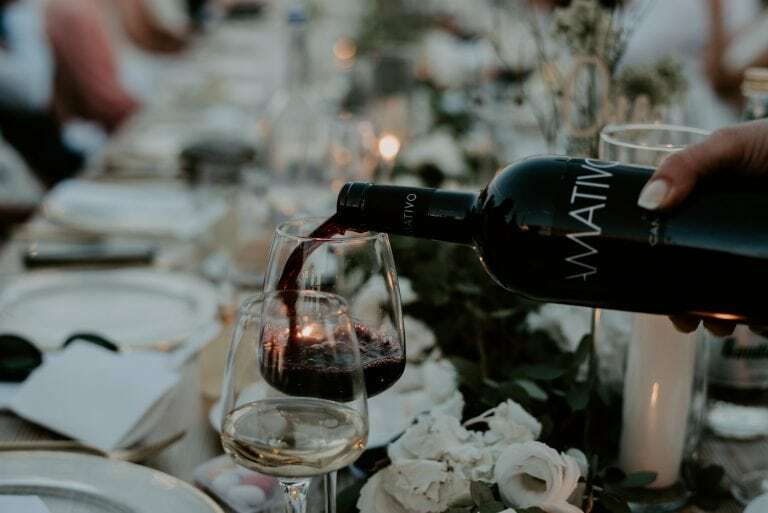 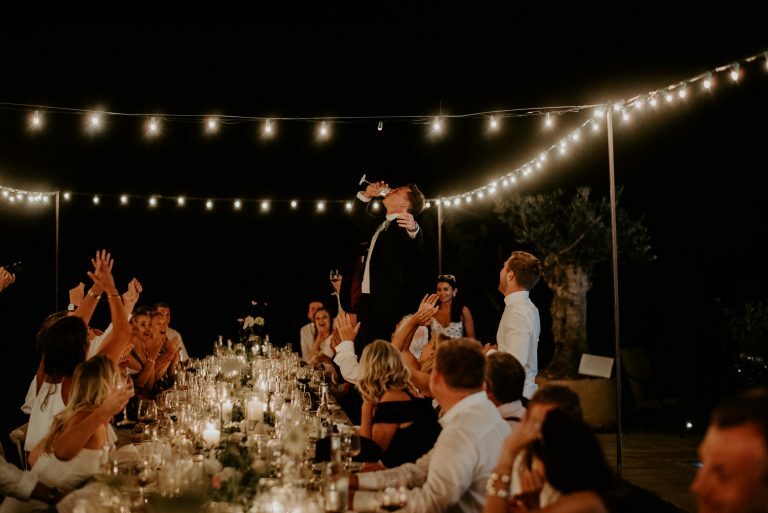 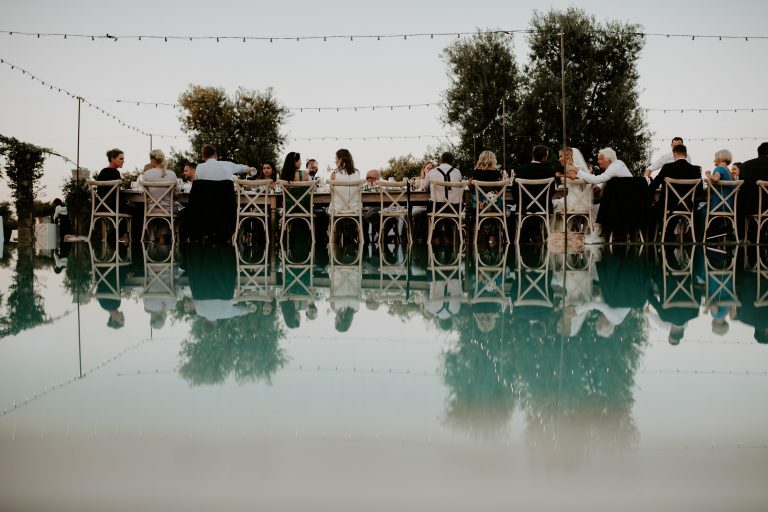 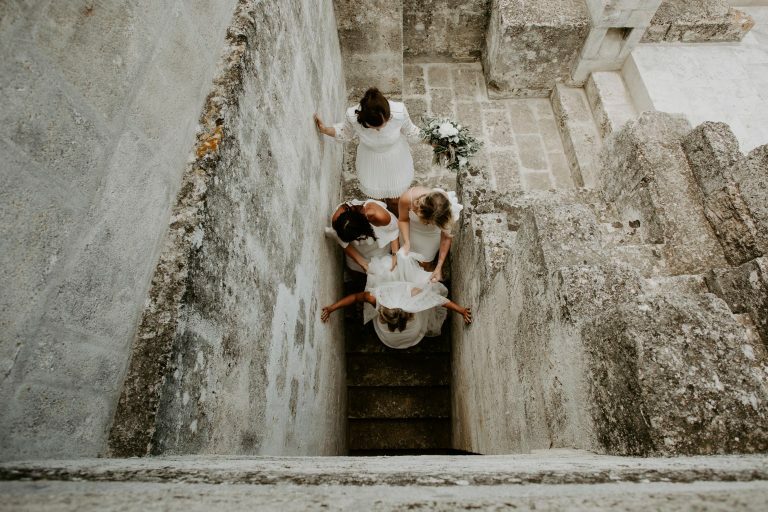 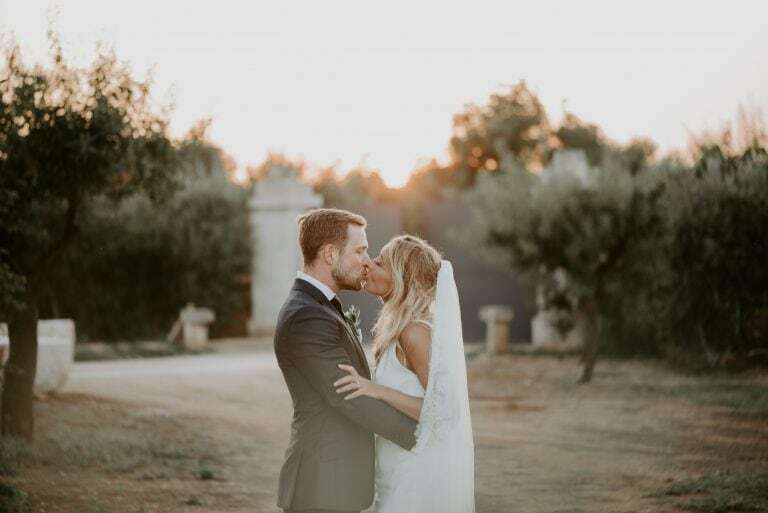 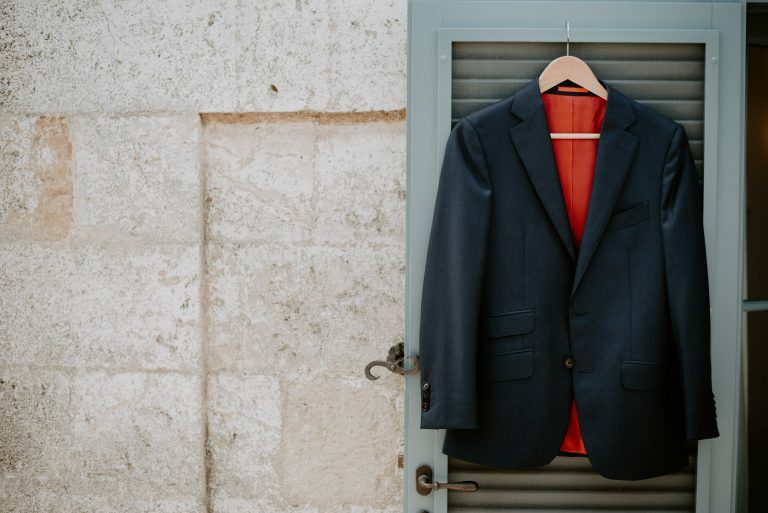 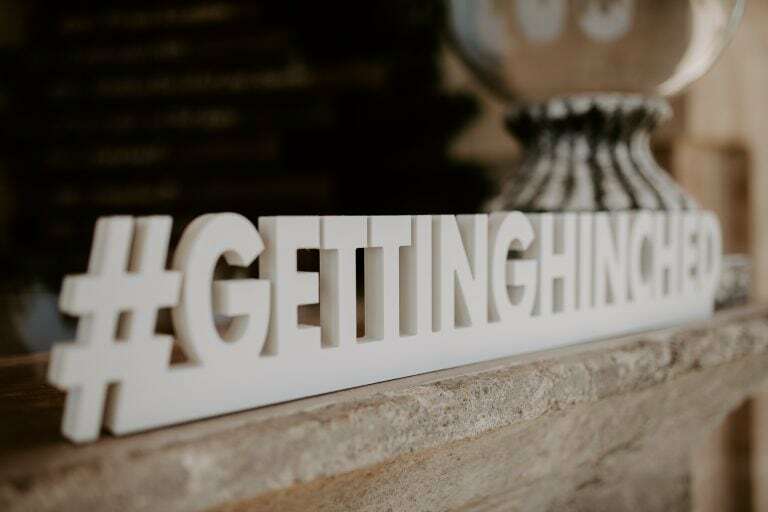 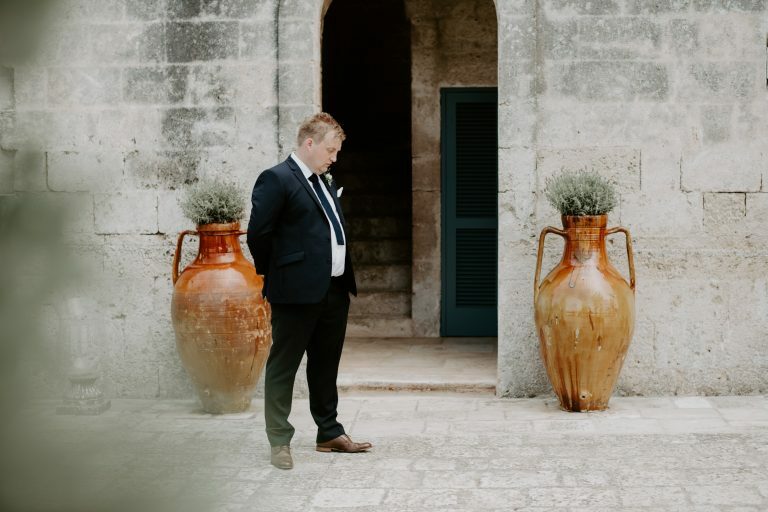 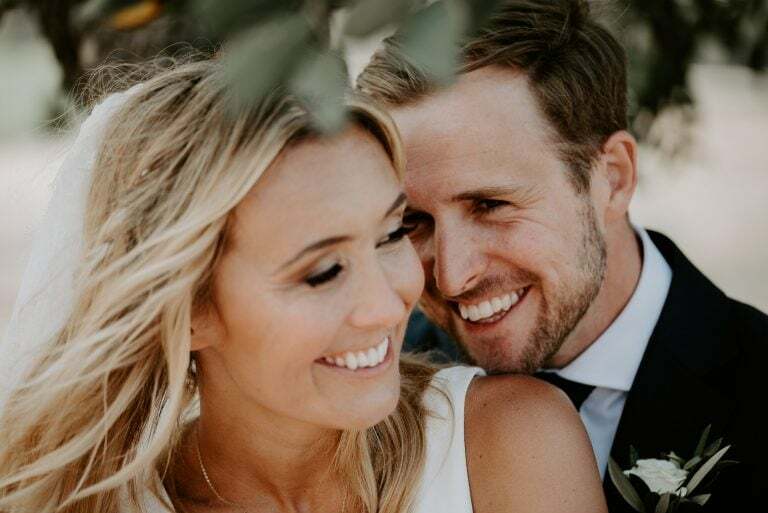 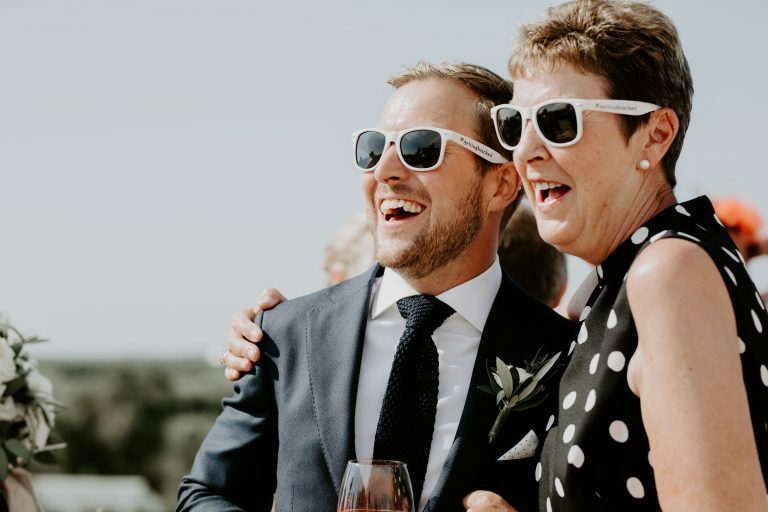 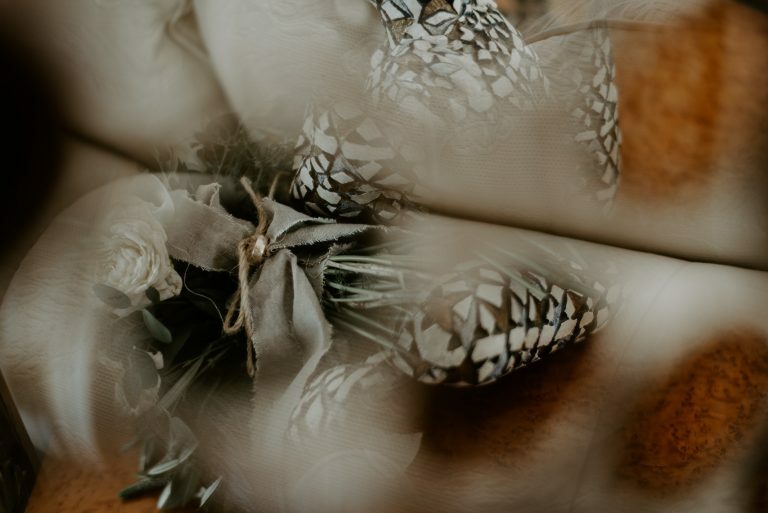 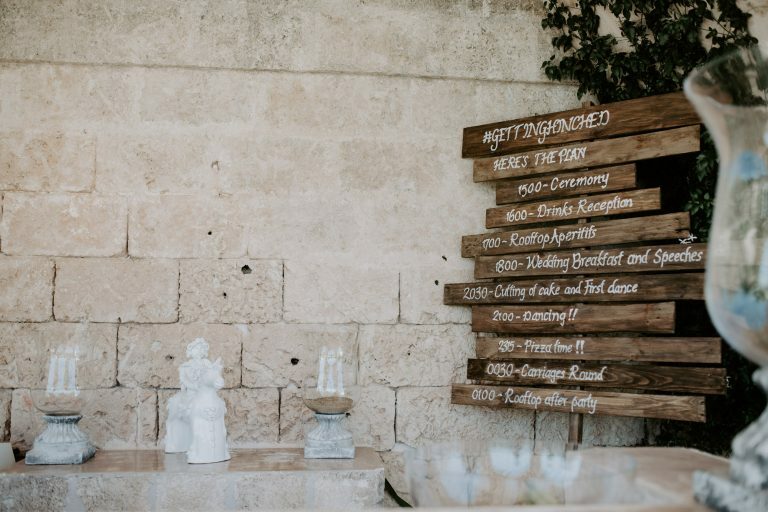 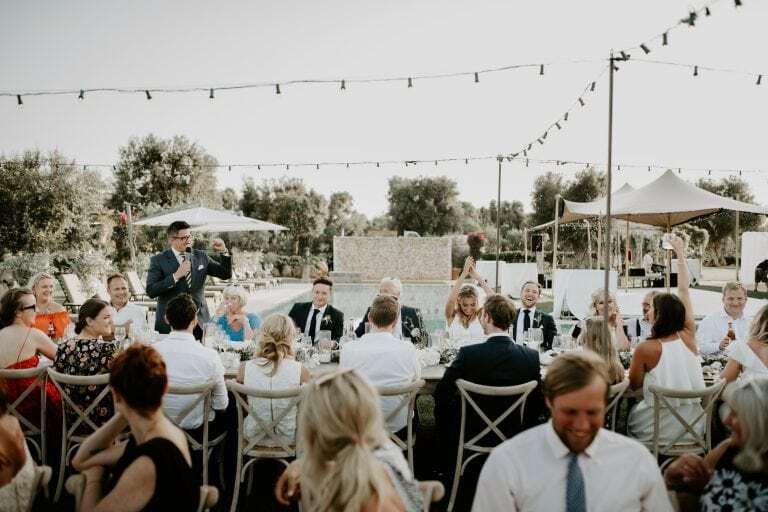 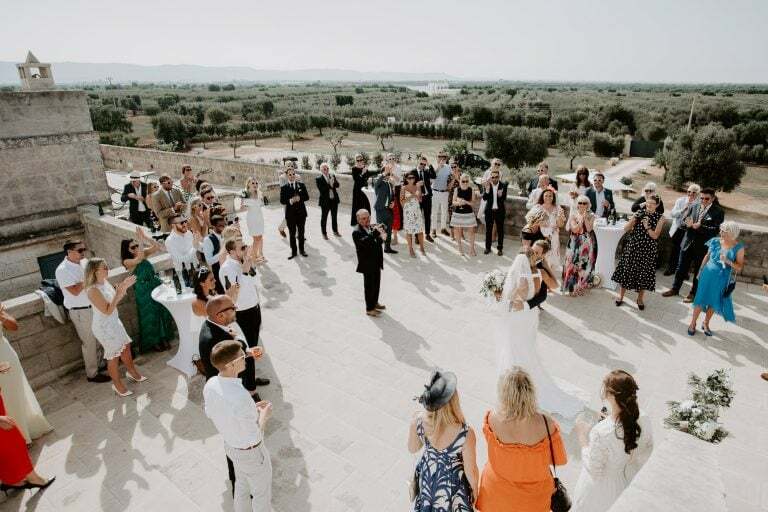 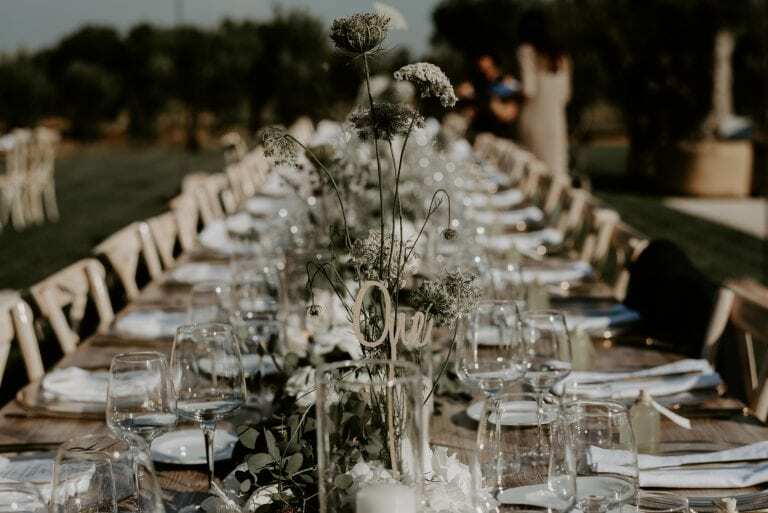 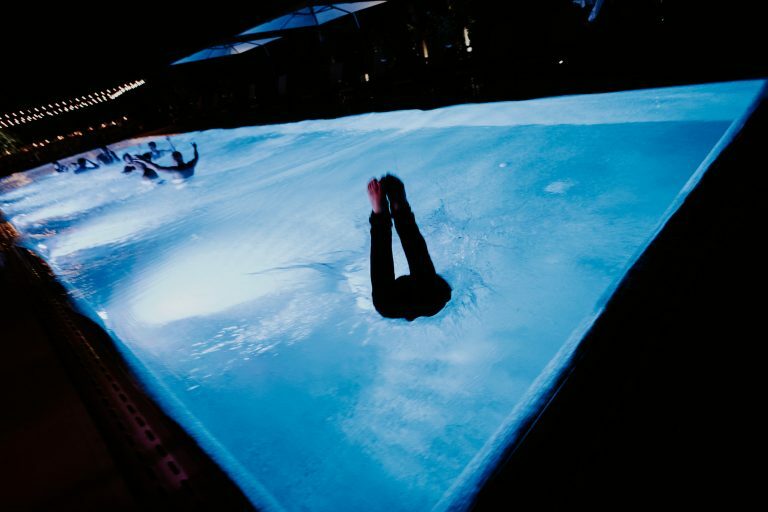 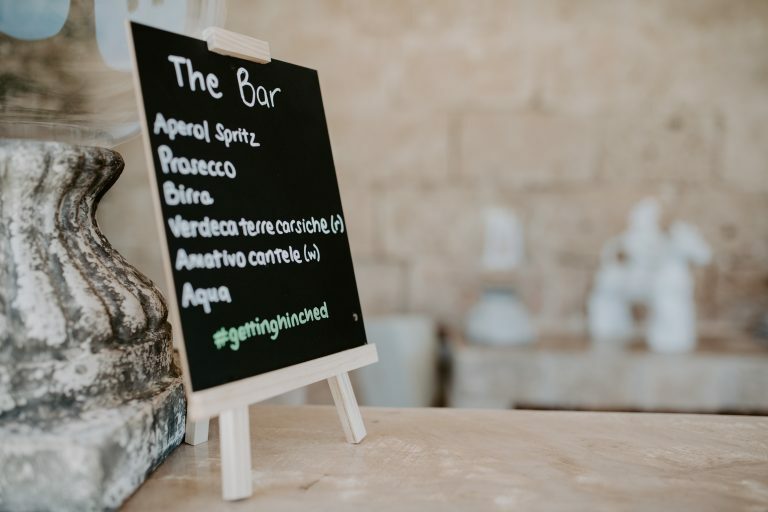 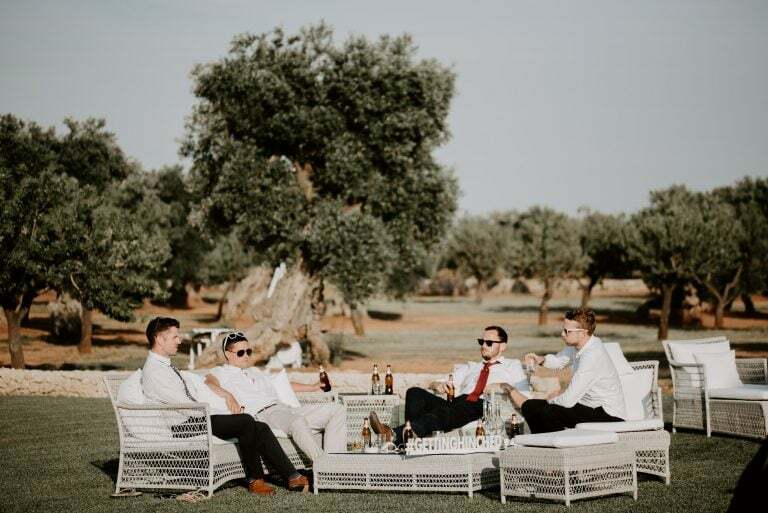 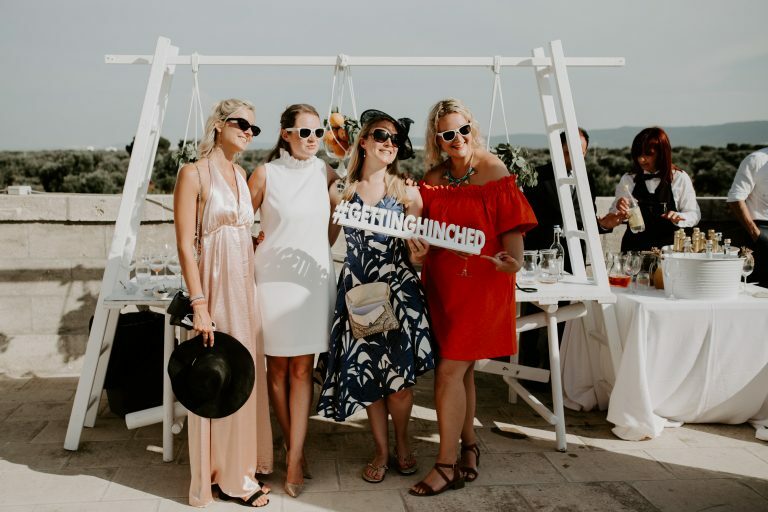 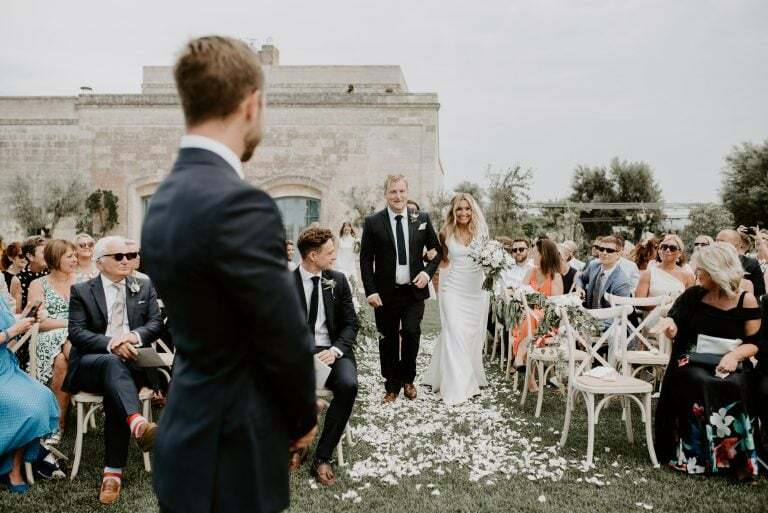 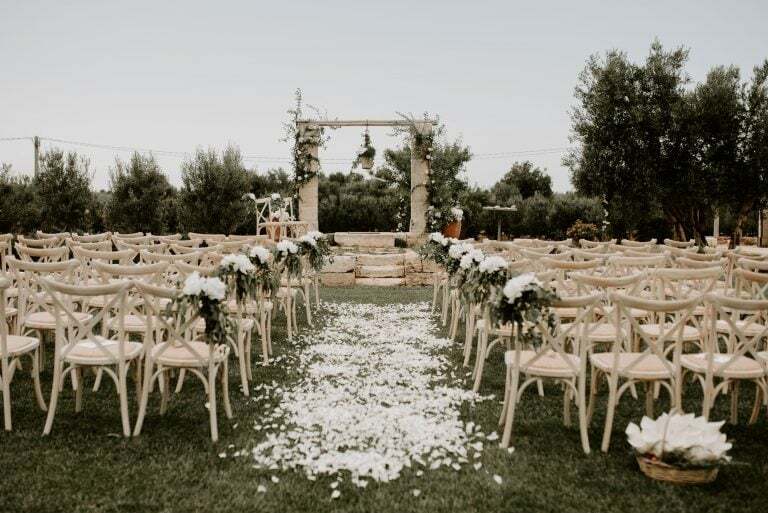 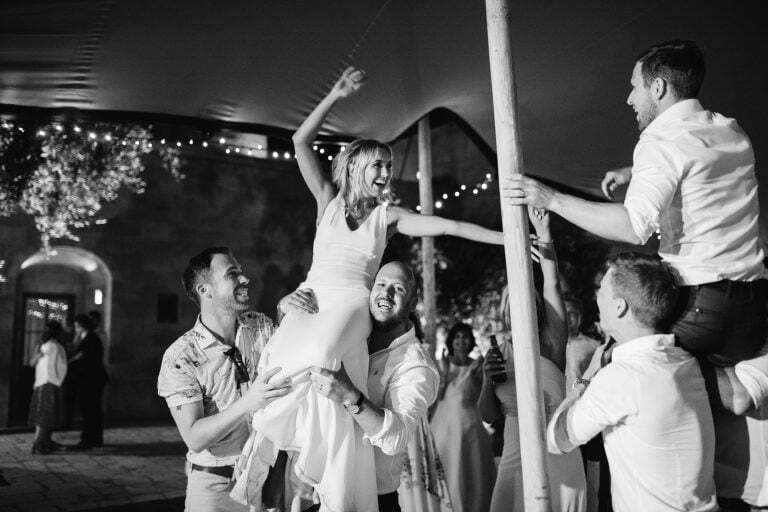 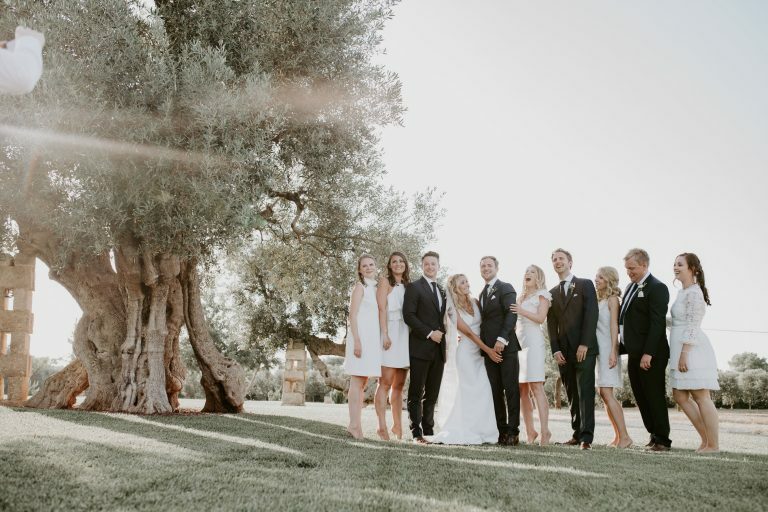 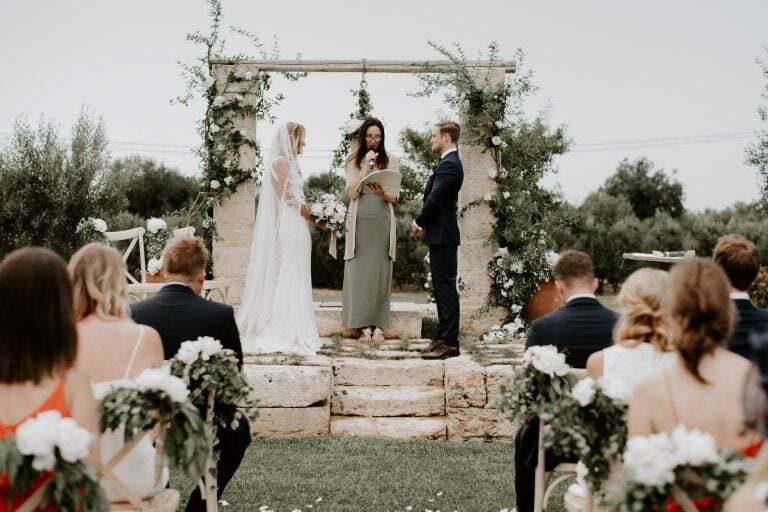 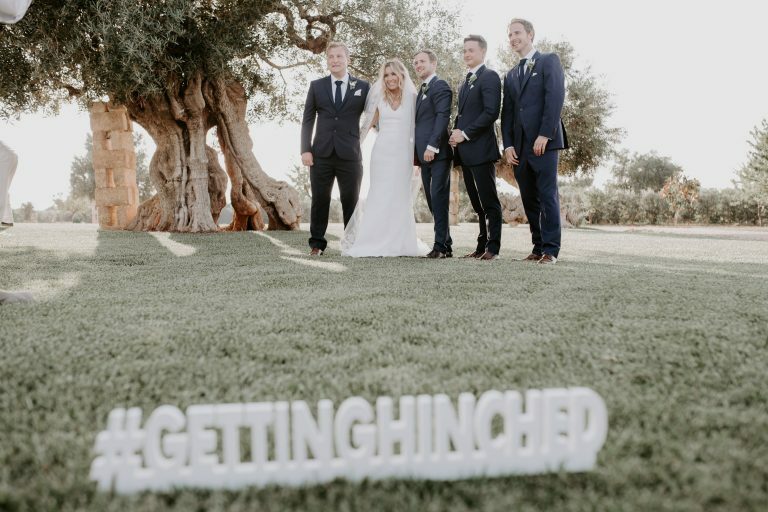 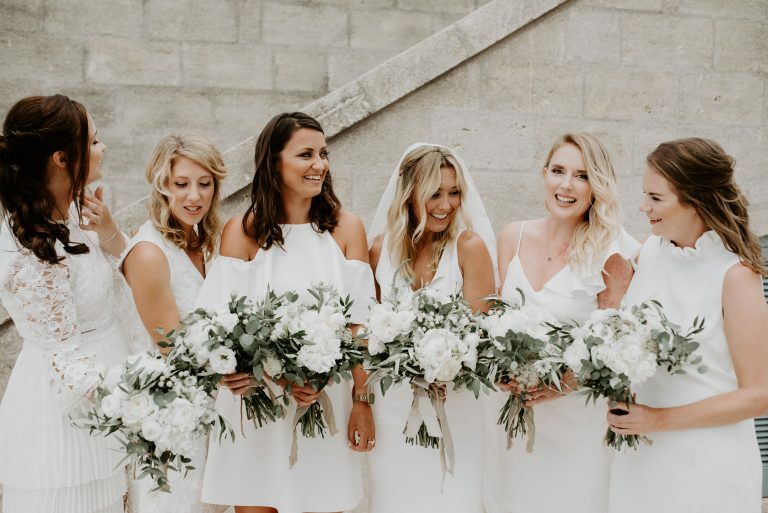 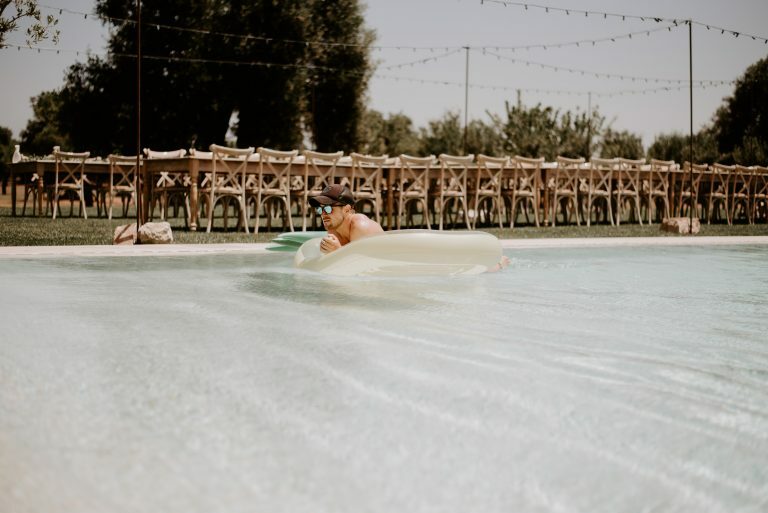 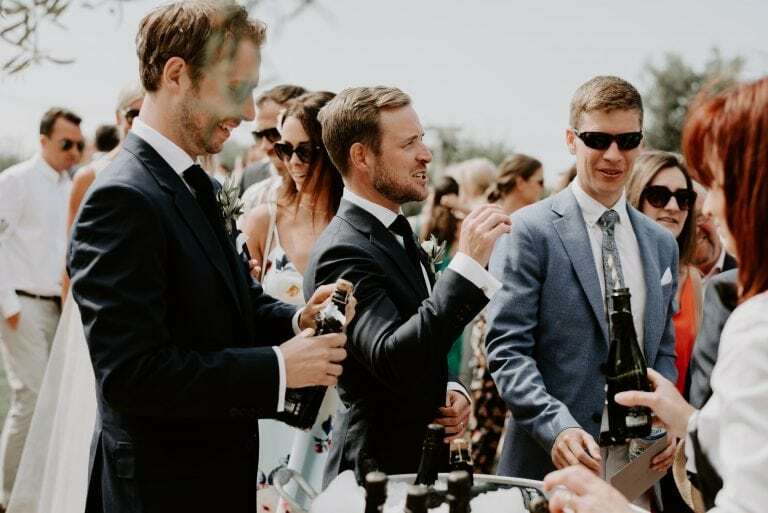 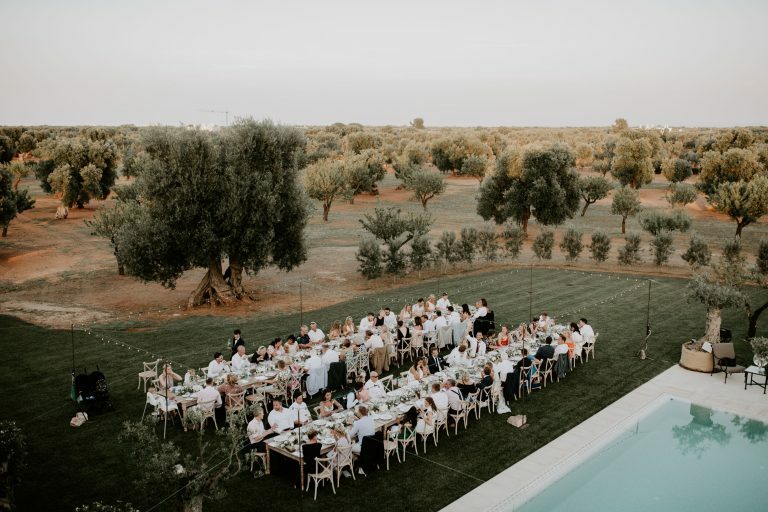 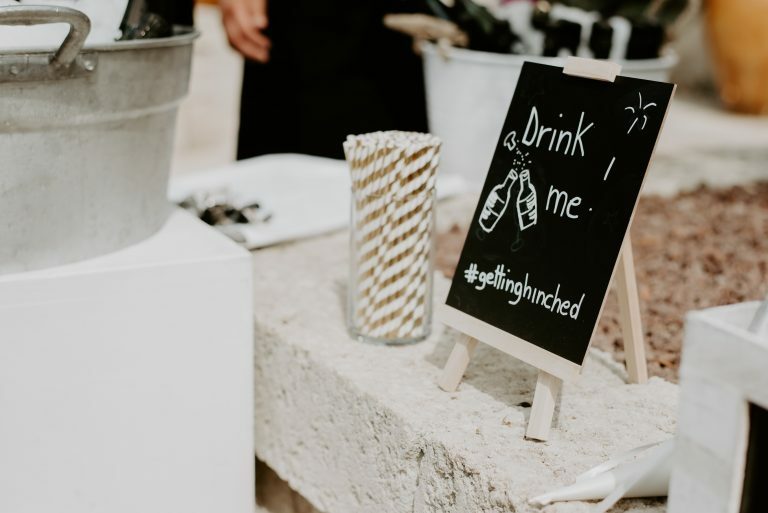 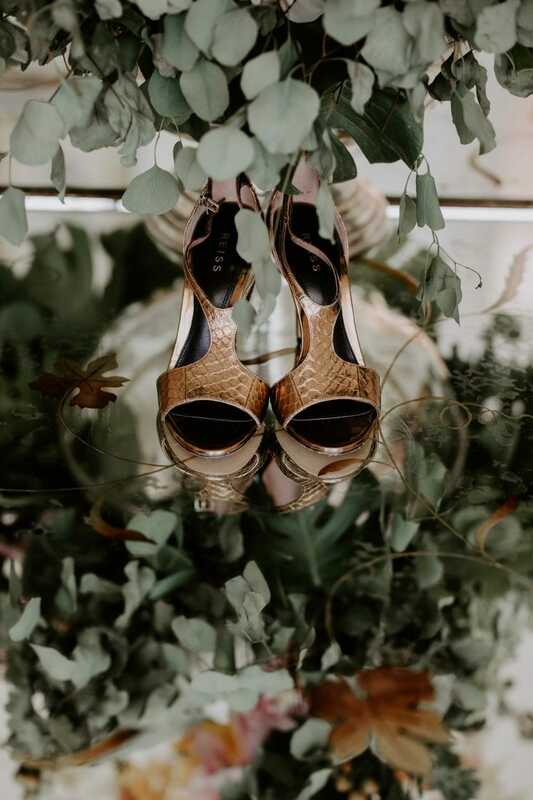 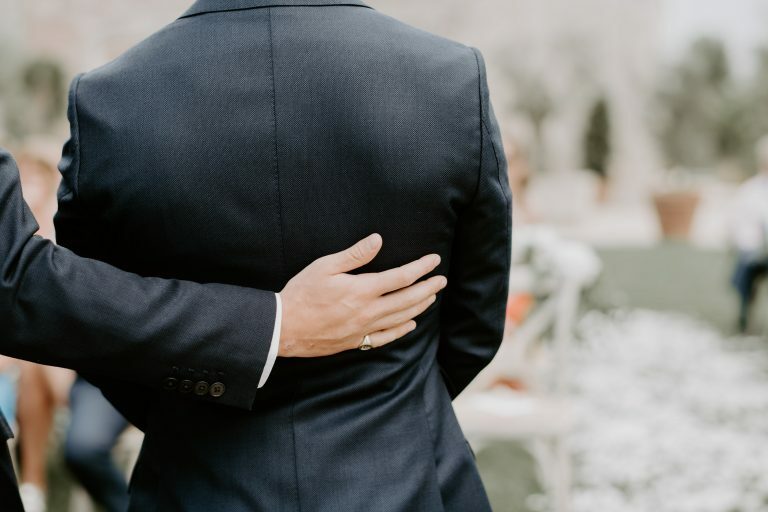 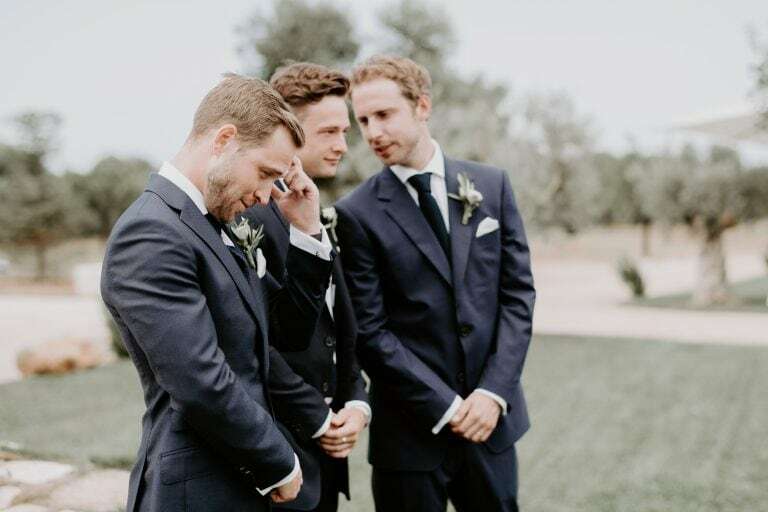 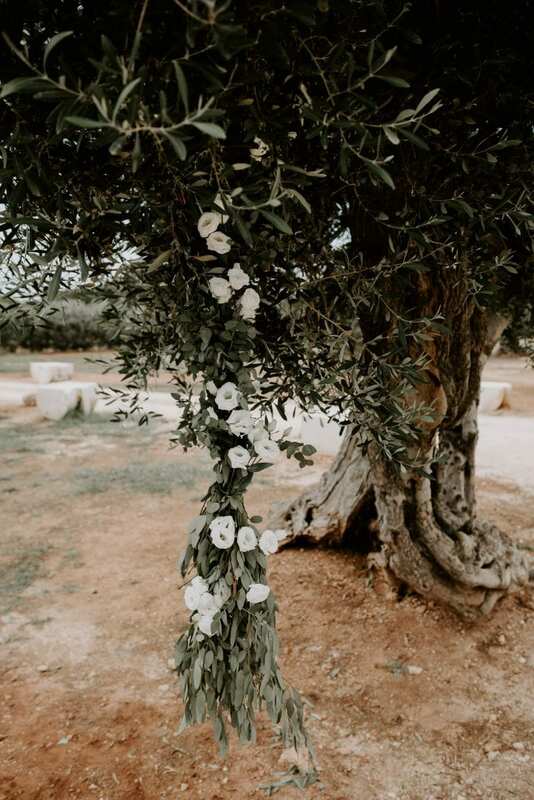 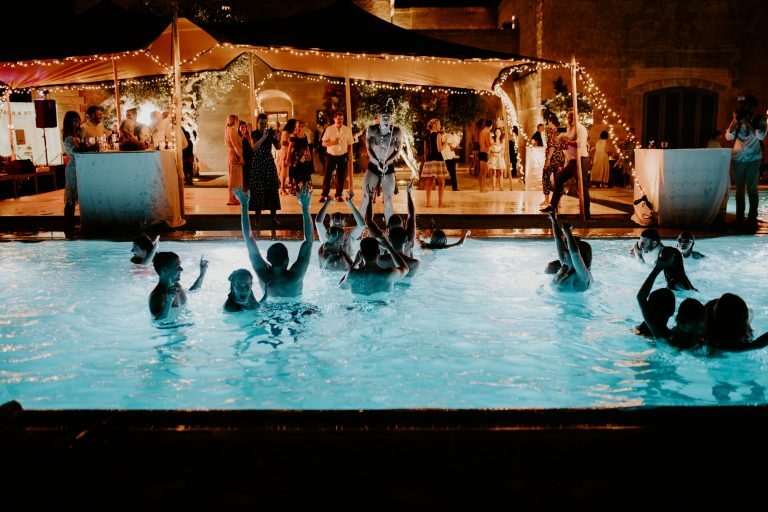 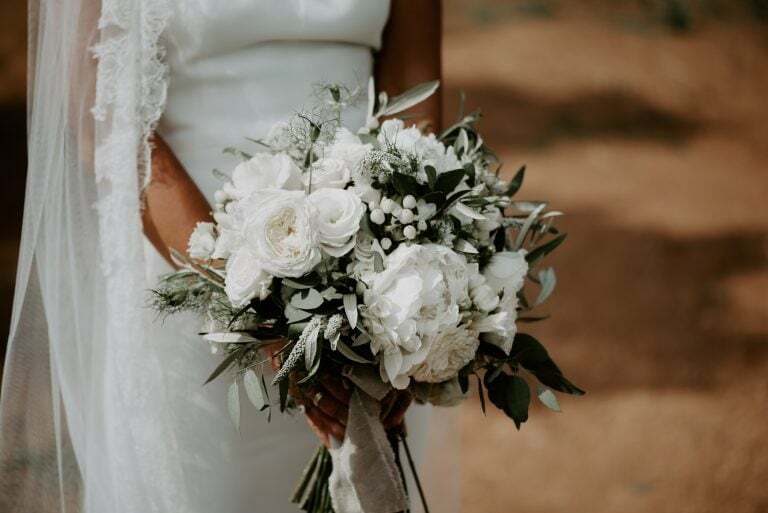 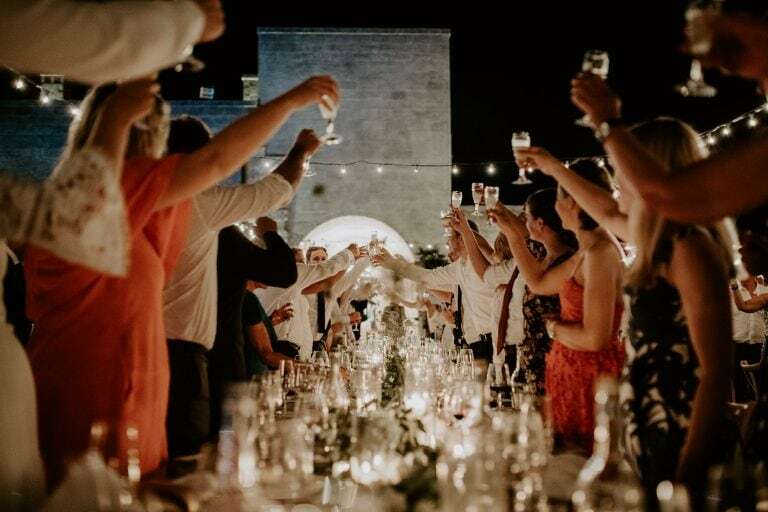 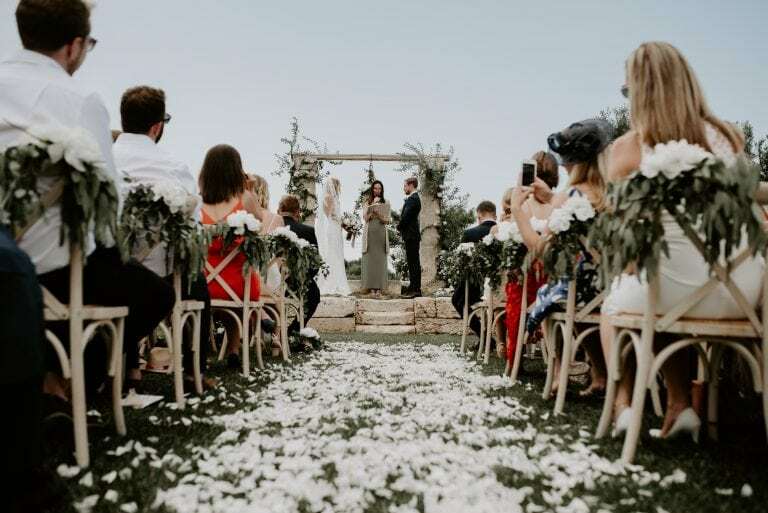 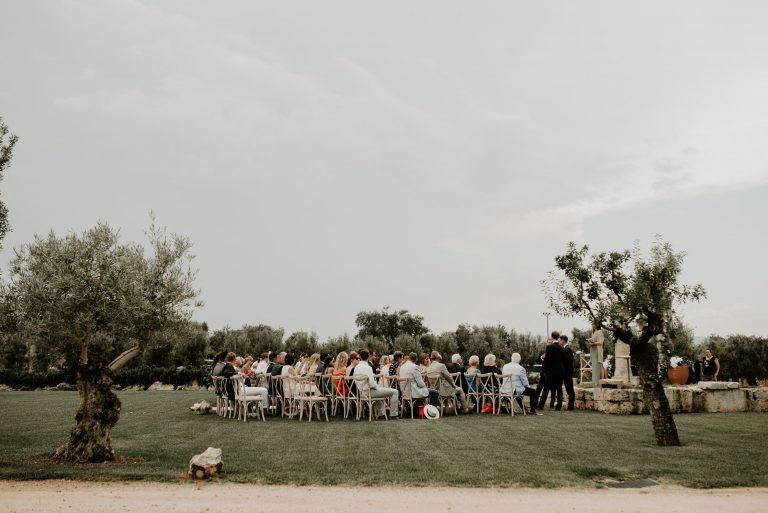 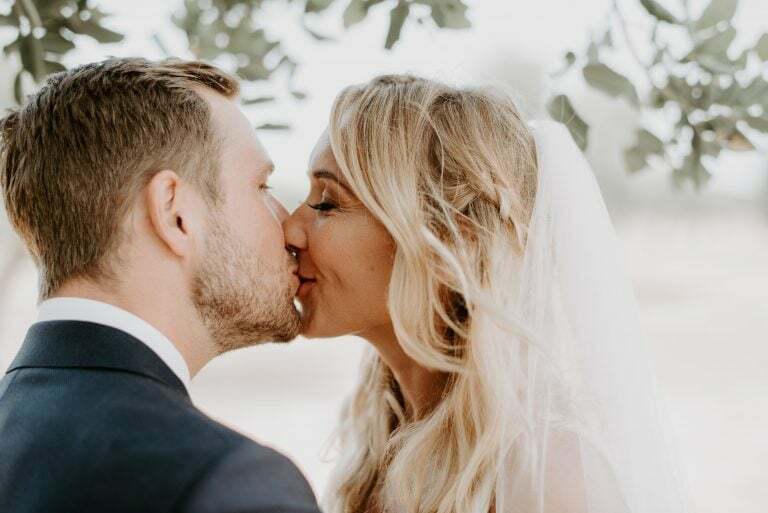 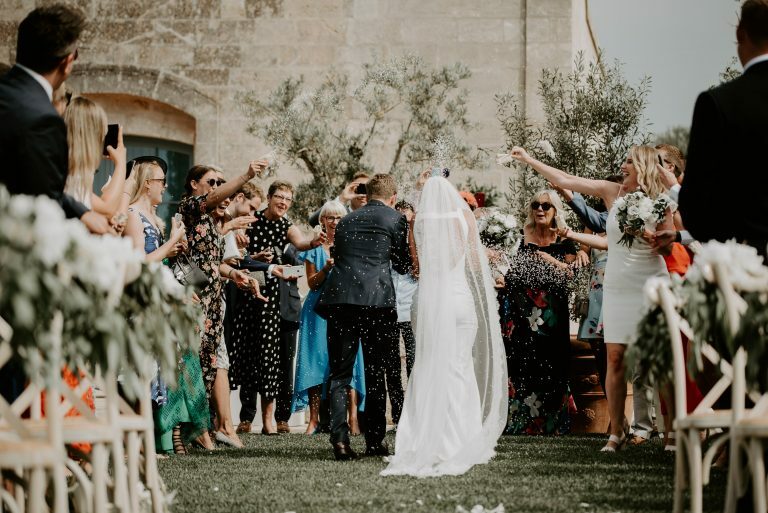 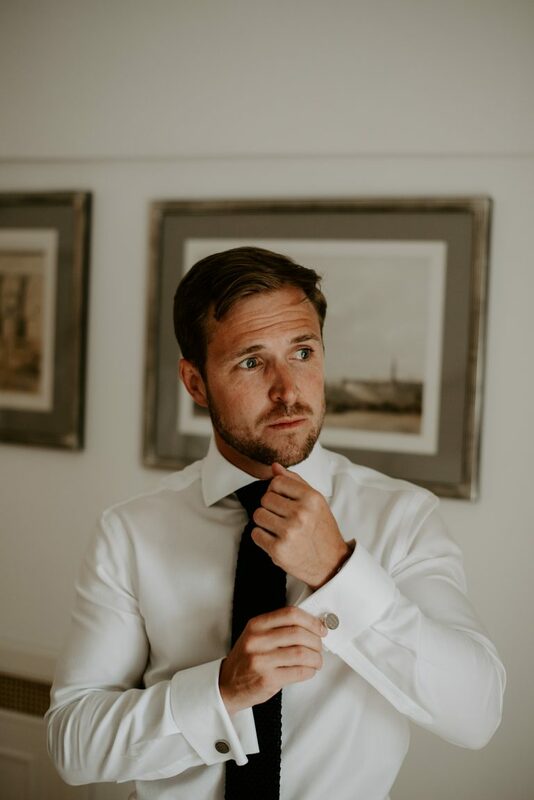 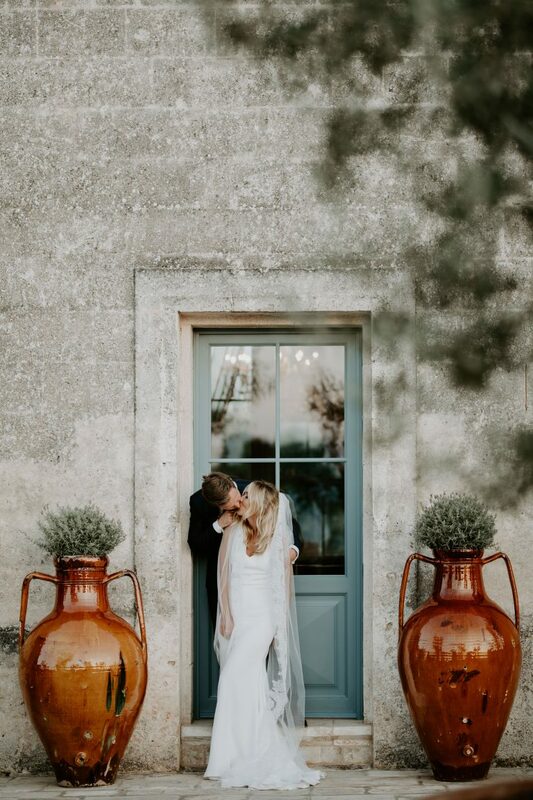 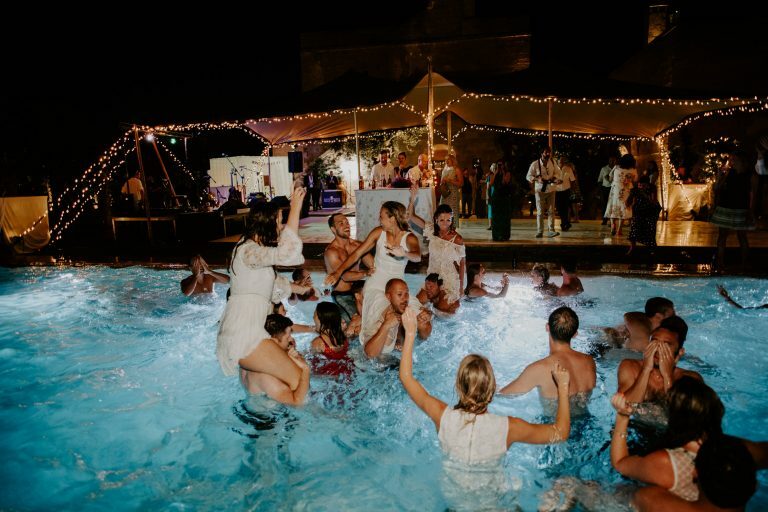 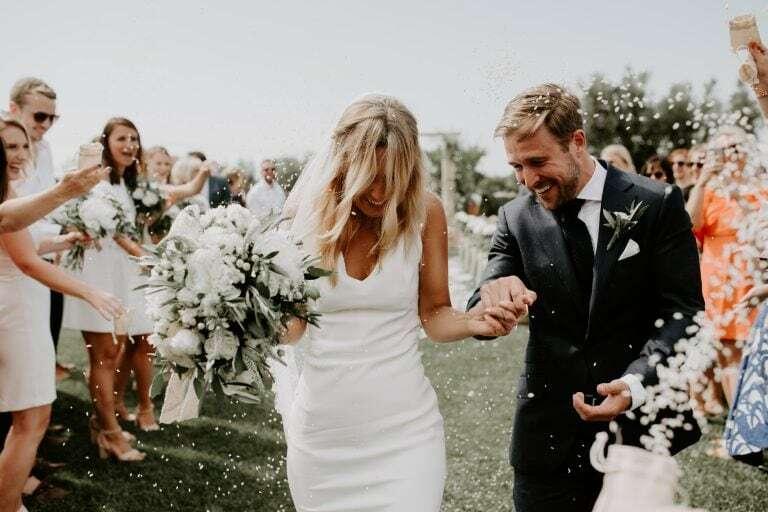 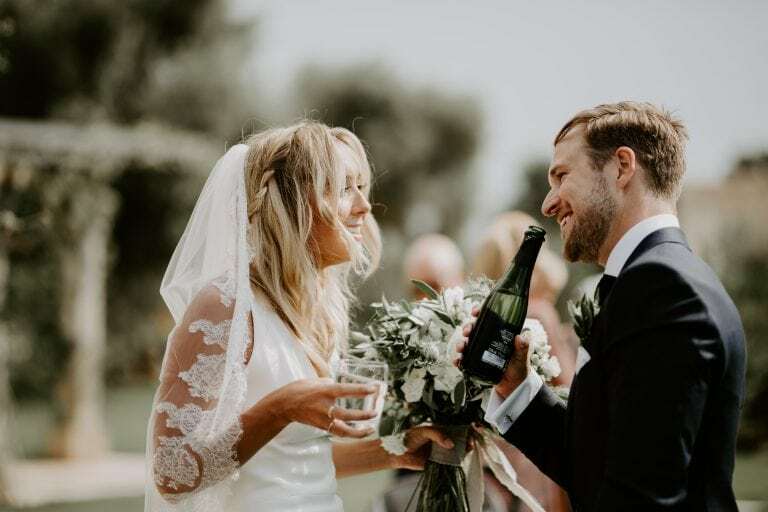 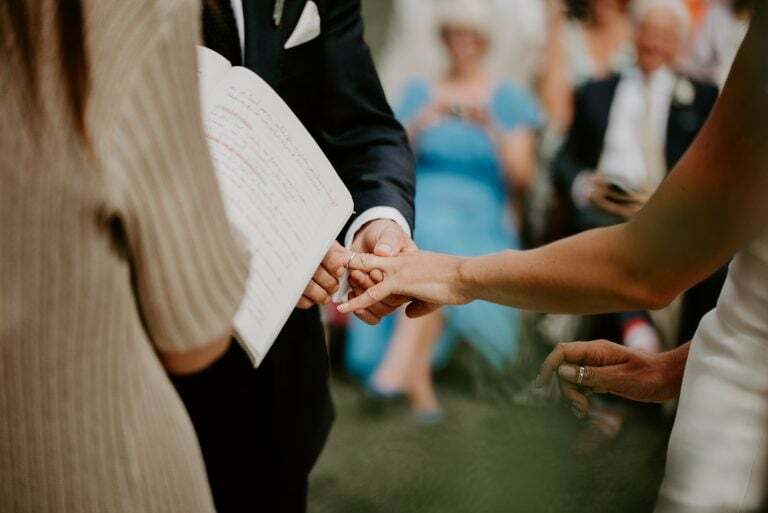 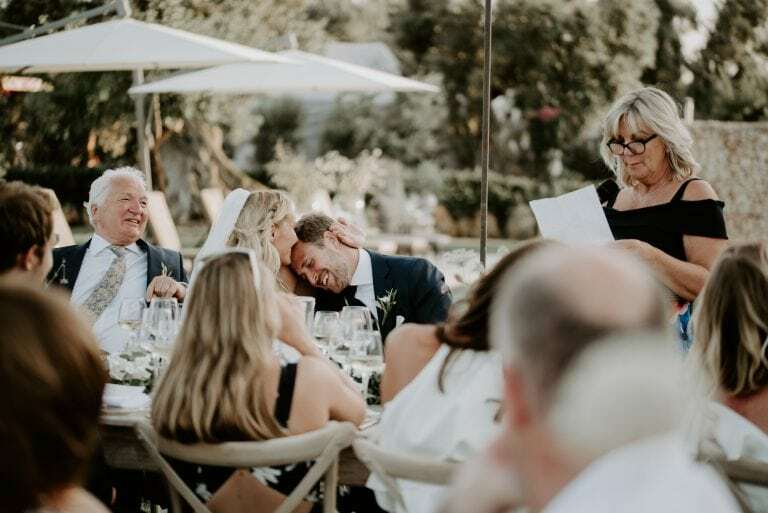 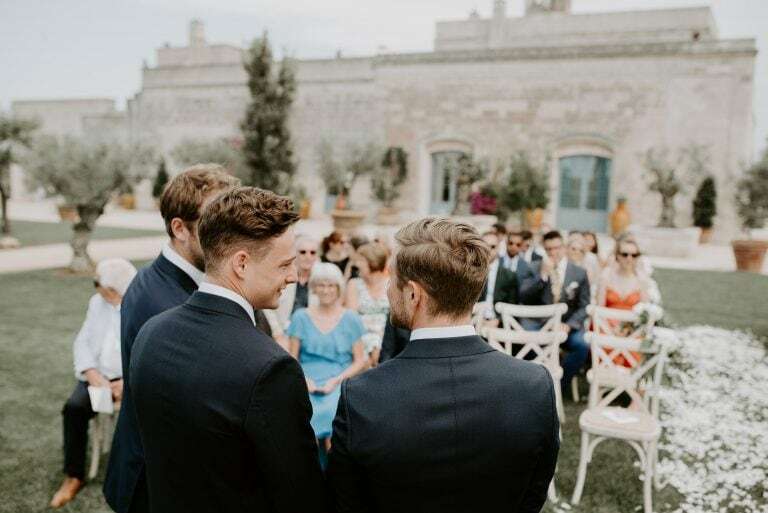 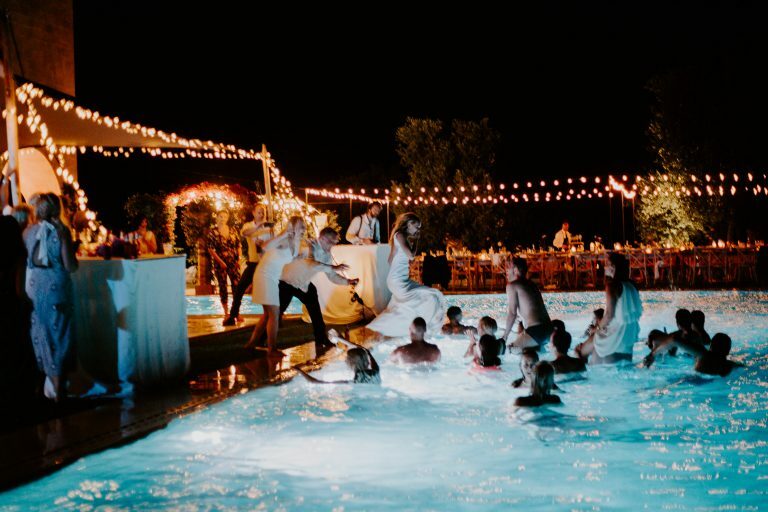 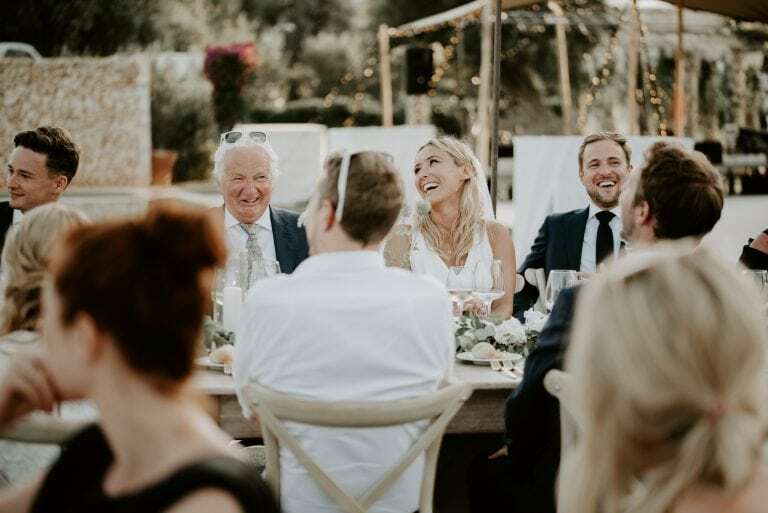 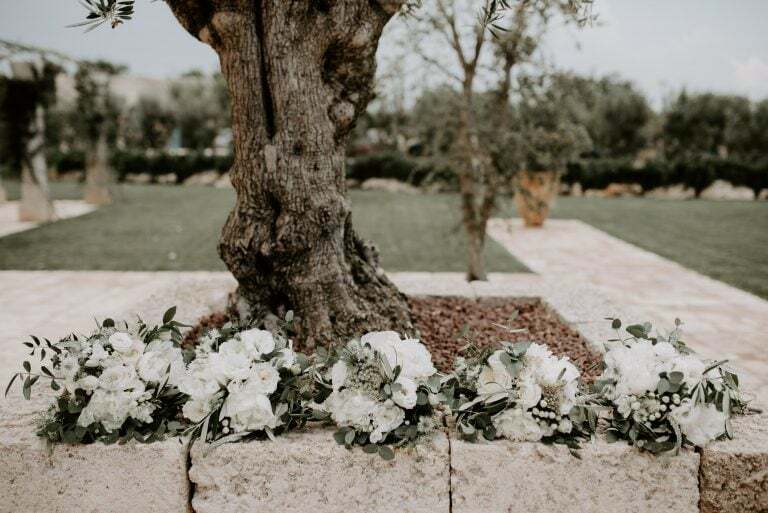 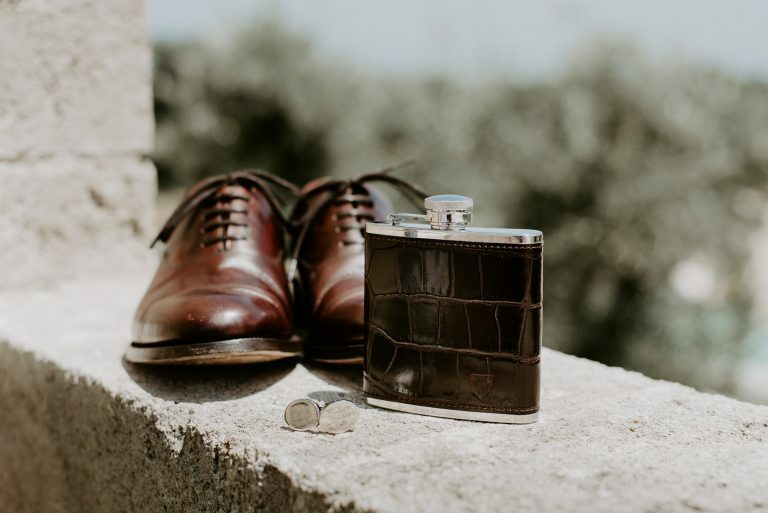 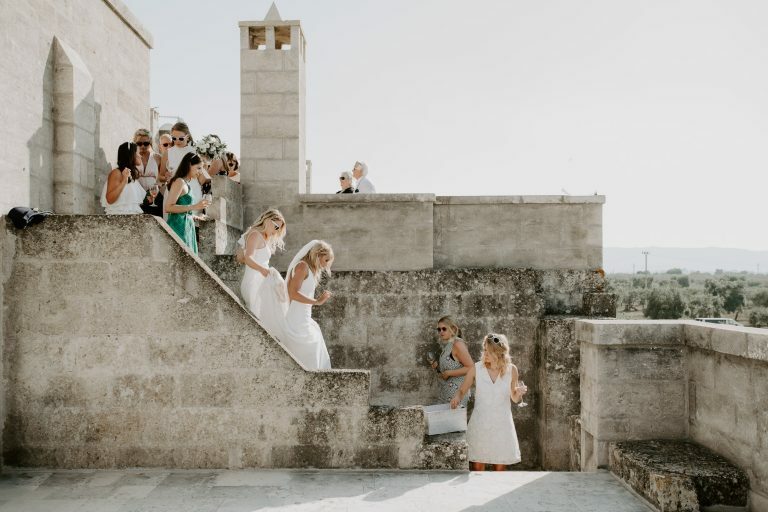 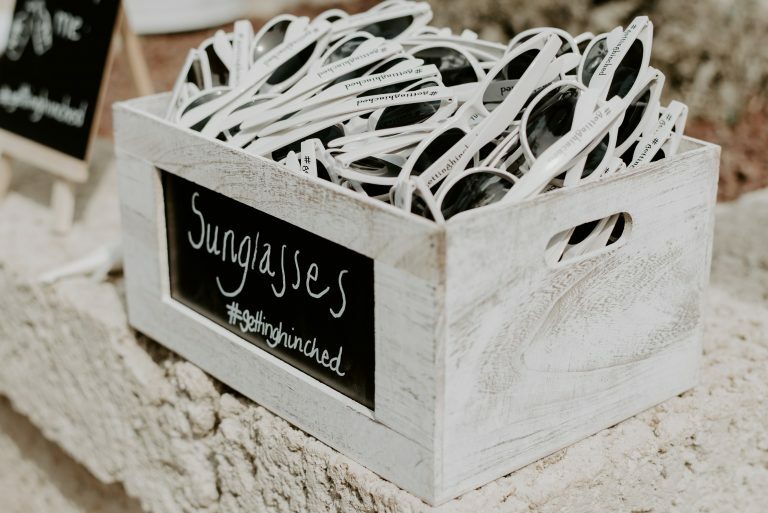 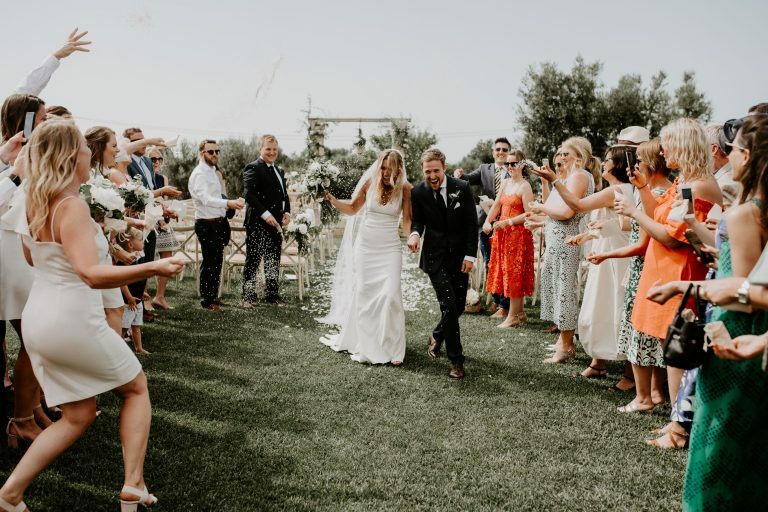 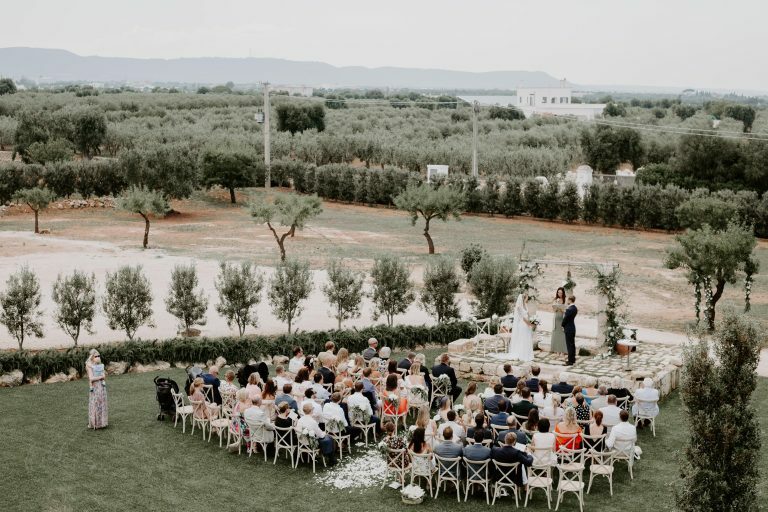 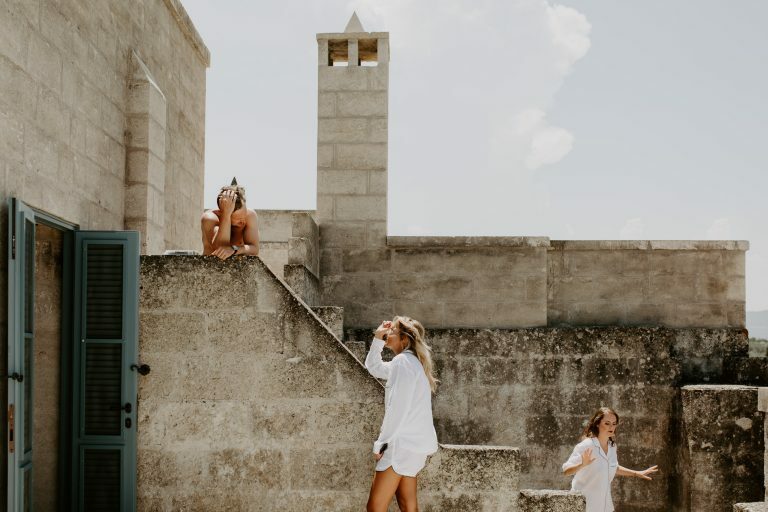 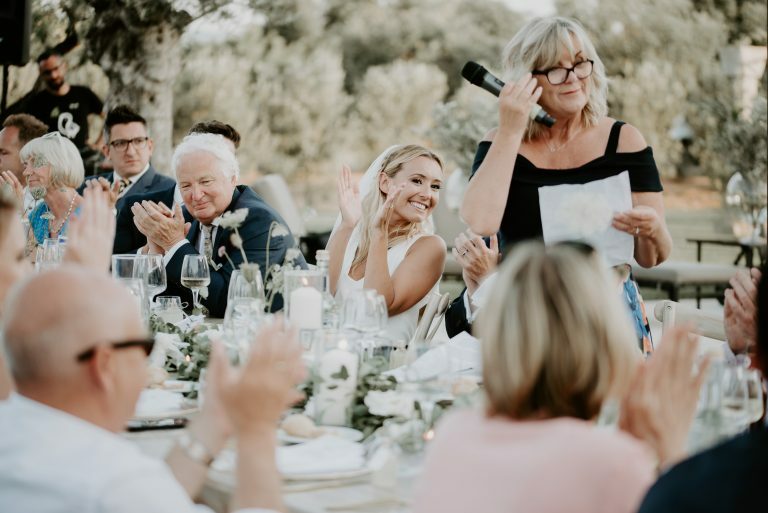 Finding Masseria Pettolecchia was the icing on the cake – the beauty of the masseria and the unbelievable ancient olive groves left us with no doubt that this was where we wanted to get married. 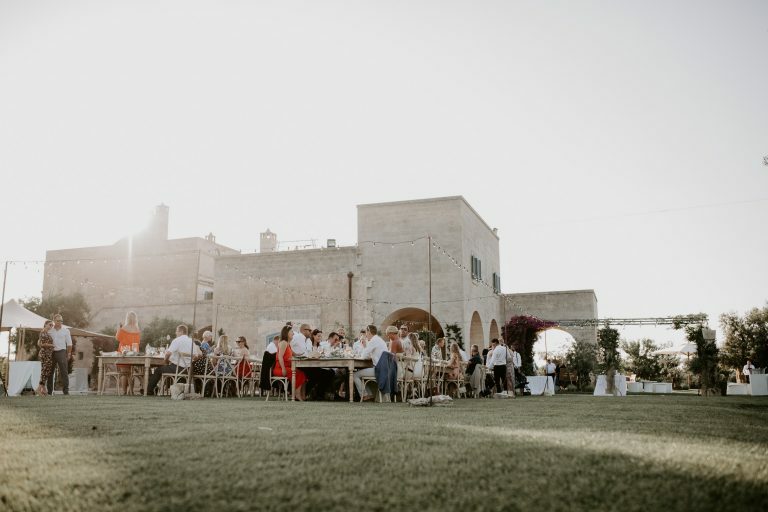 Planning the wedding we wanted a classic feel to the day – using the colours of Puglia (olives, eucalyptus, creams and whites) for the flowers, dress code and stationery, but then mixed with all the elements of the best parties we’ve been to (amazing food, lots of aperol, a dance-floor filling band and, of course, a pool party!!). 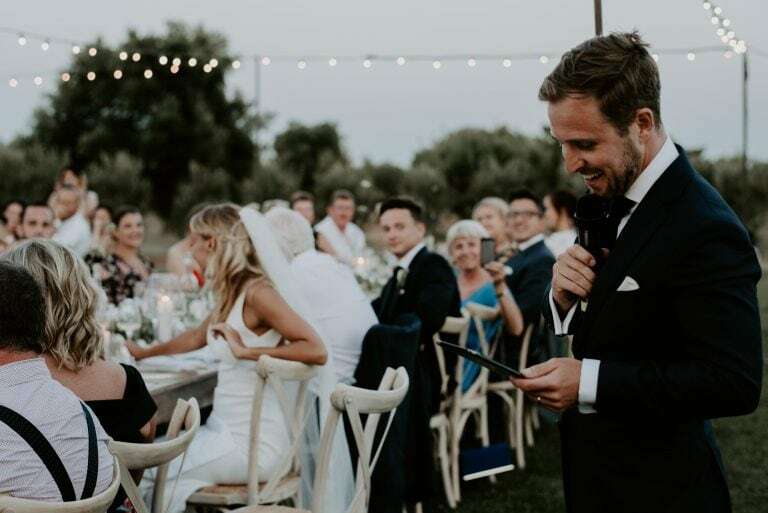 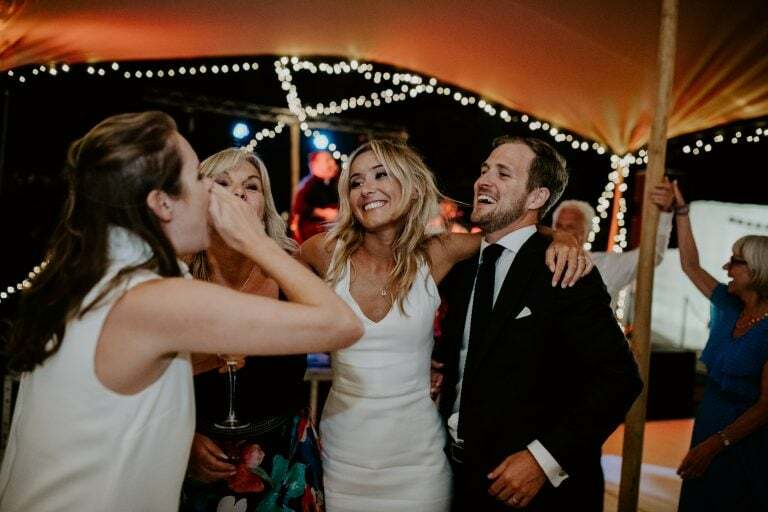 I think my favourite part of the day was the speeches – they were incredibly special and they really helped bring everyone together.